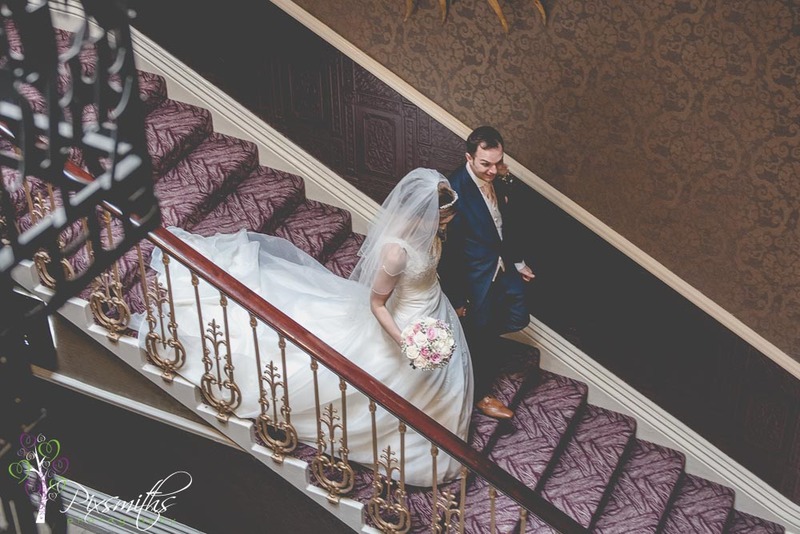 A day that ran smoothly, on arrival we bumped in to Ellis arriving for breakfast with the co-ordinator so we soon had the requested stair shot organised. 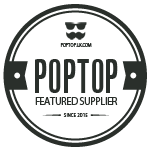 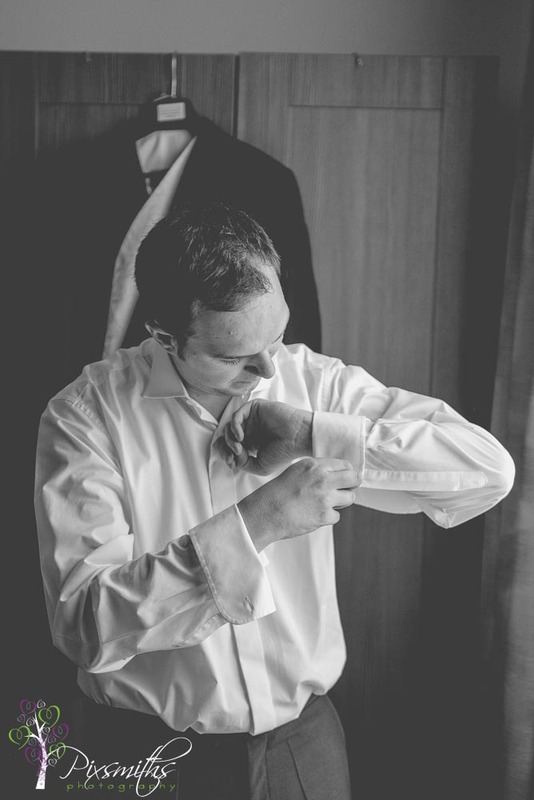 ….so easy for us to cover both preps. 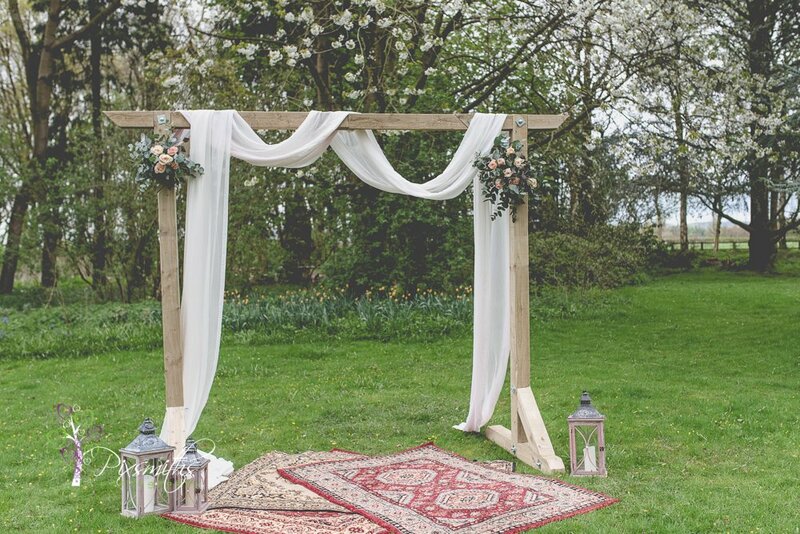 A plus point when ceremony is at same location. 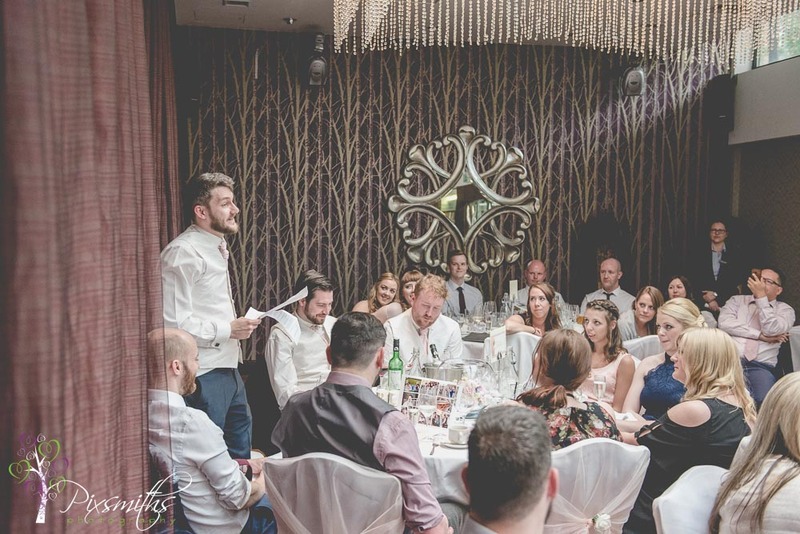 Staff wonderfully organised, attentive and excellent communication through out made for a smooth running day and such an enjoyable one. 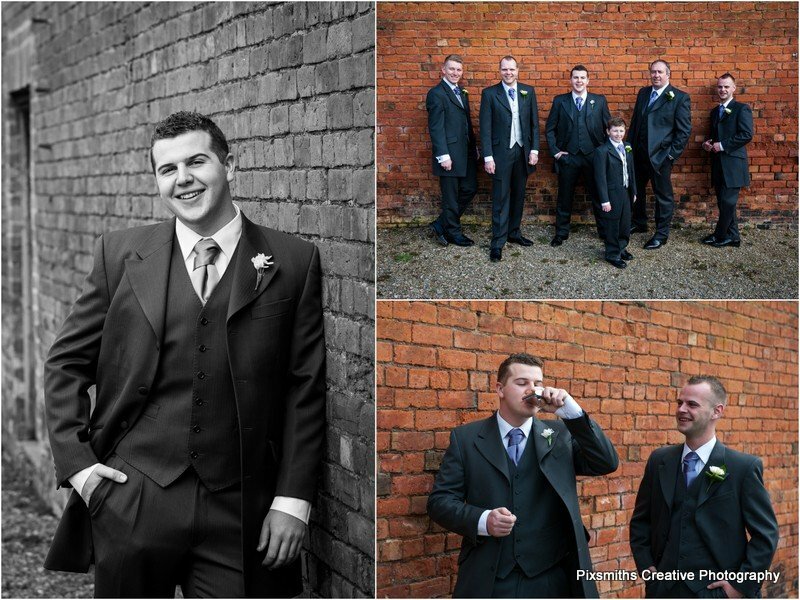 Guests made their way after the ceremony for a staircase shot and then went for the drinks in the outdoor courtyard. 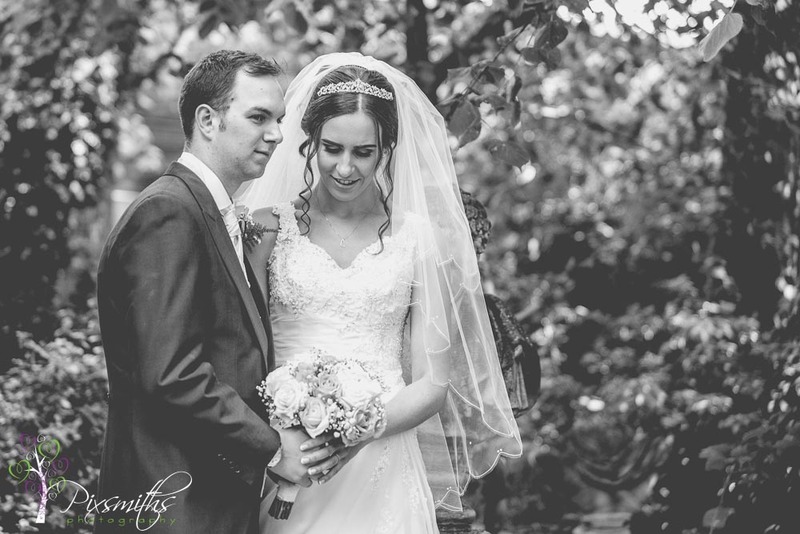 Again weather not too hot and rain stayed off all day – not bad for bank Holiday weekend! 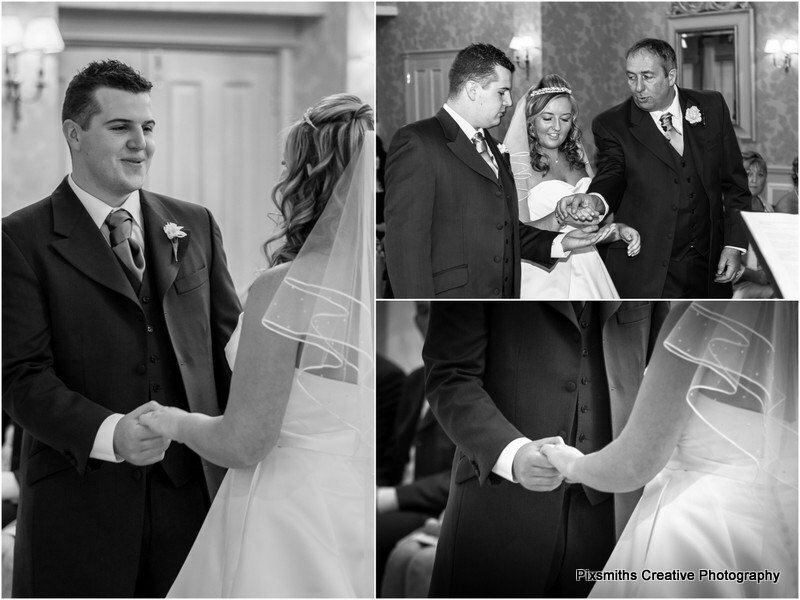 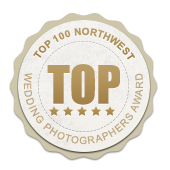 So going to enjoy building a beautiful album for your keepsake, going to be a hard choice for the images. 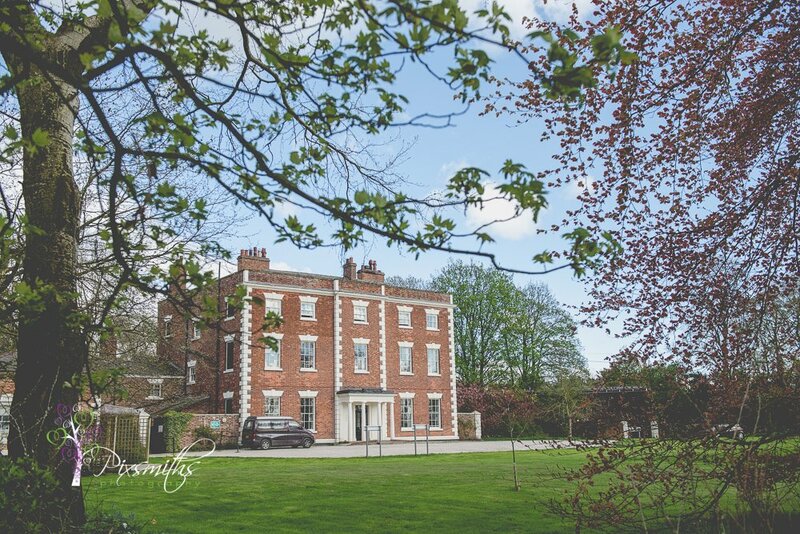 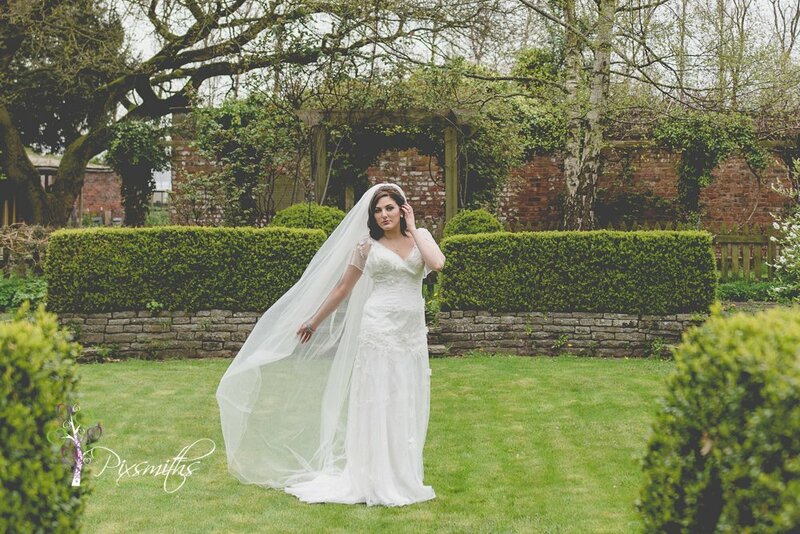 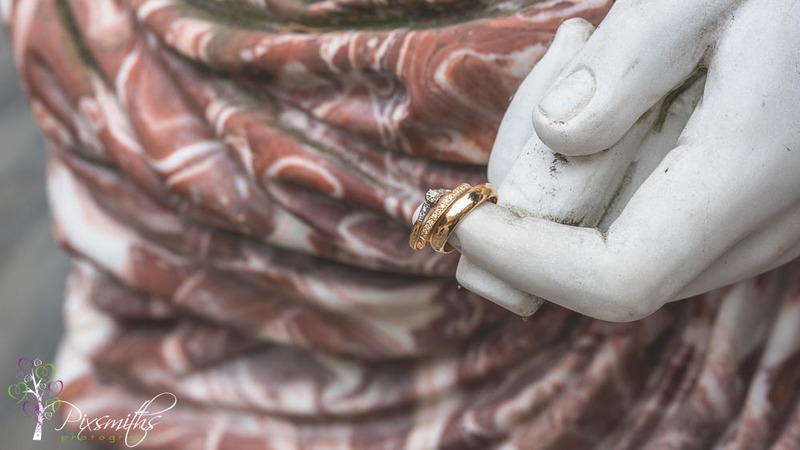 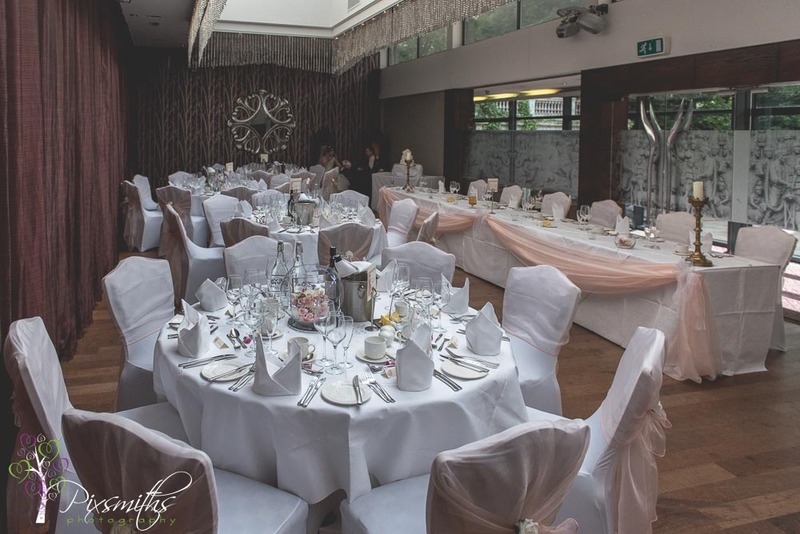 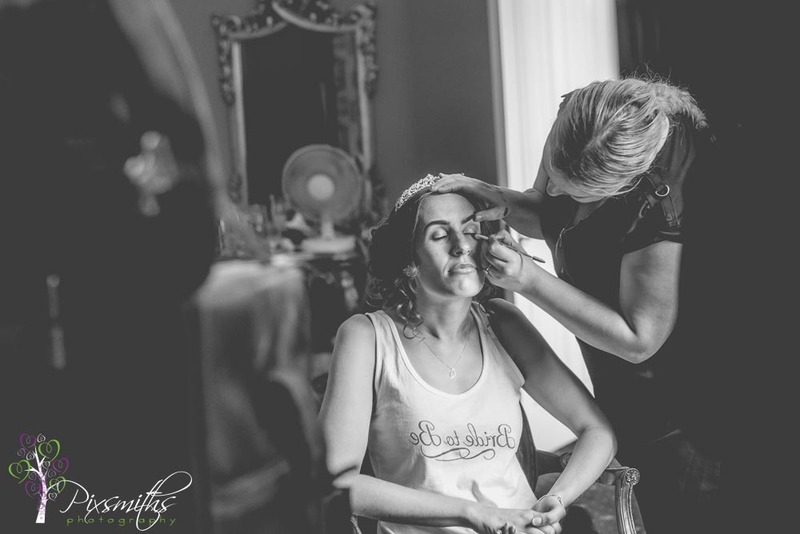 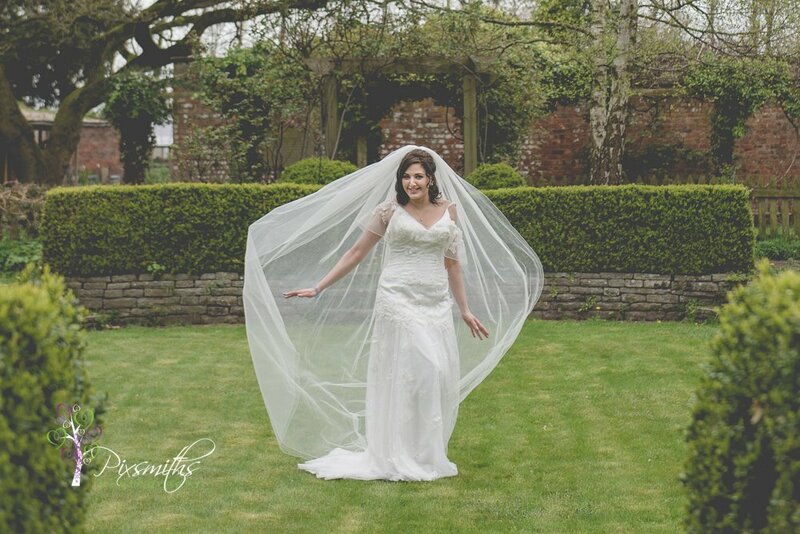 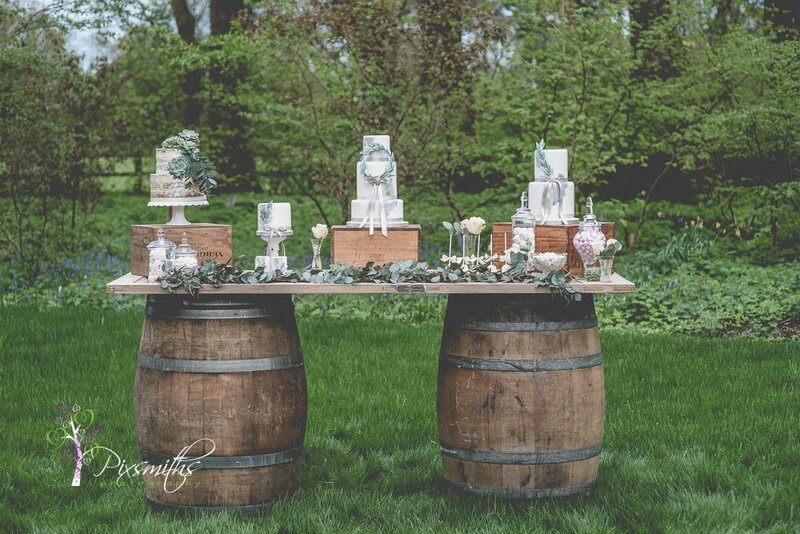 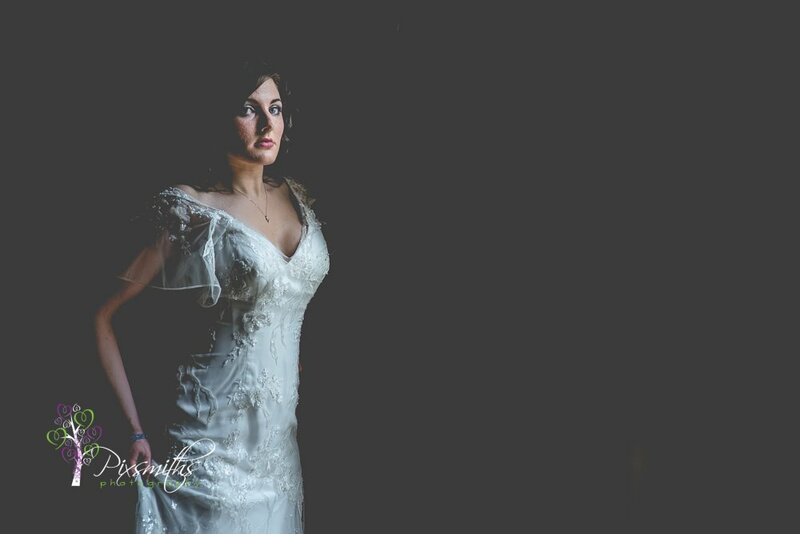 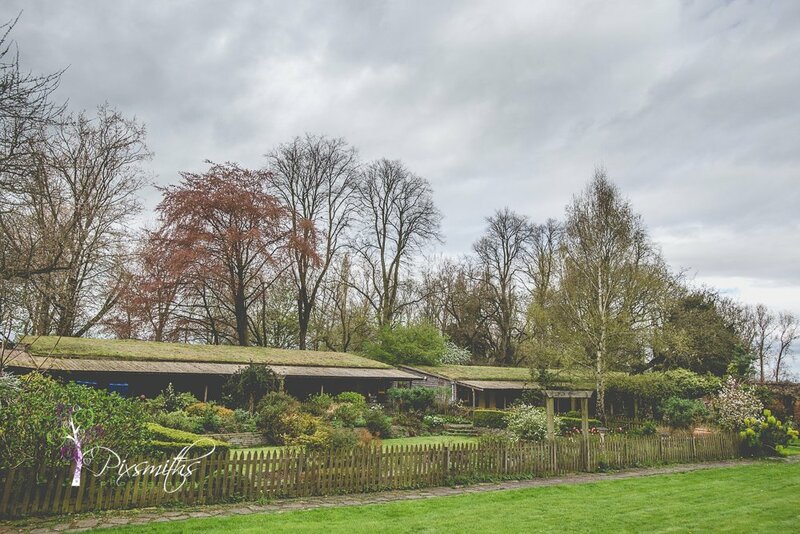 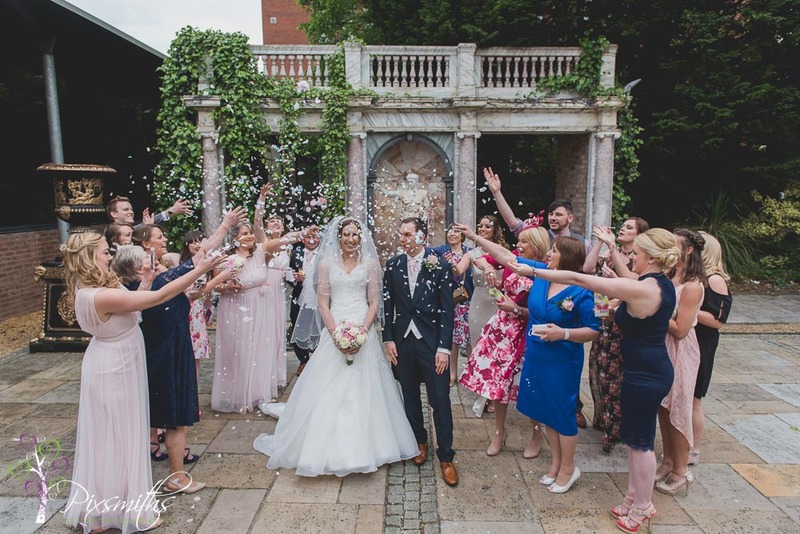 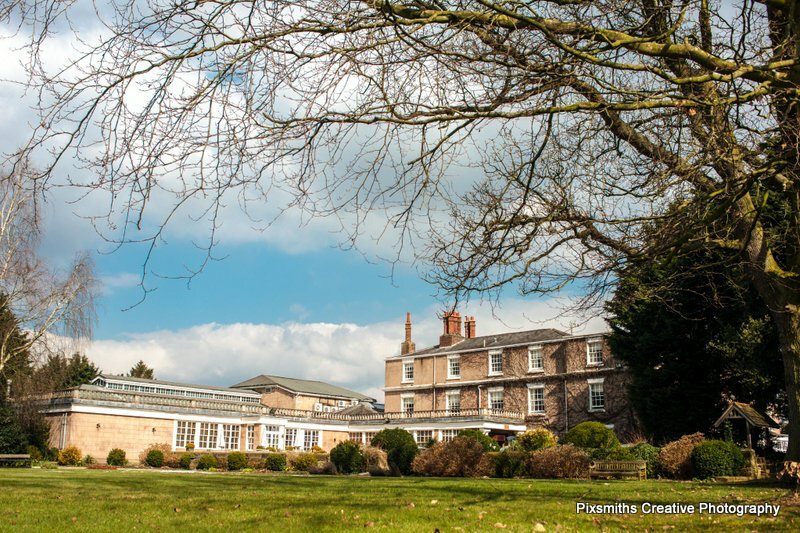 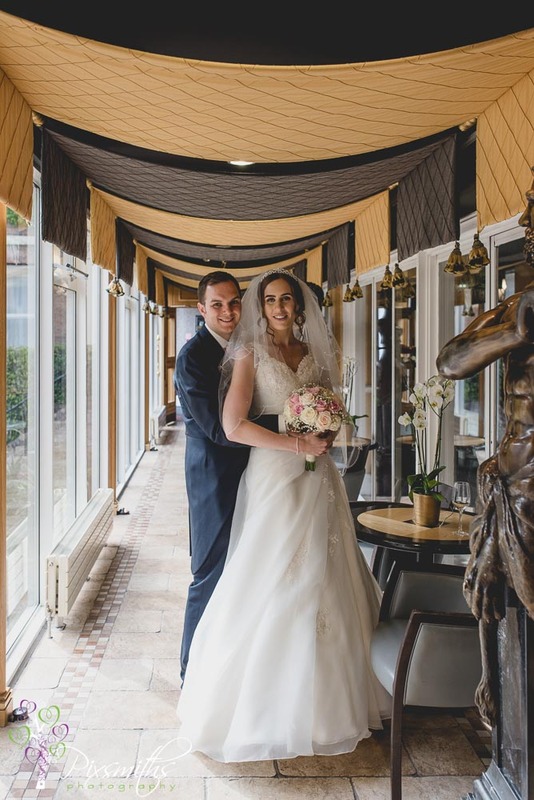 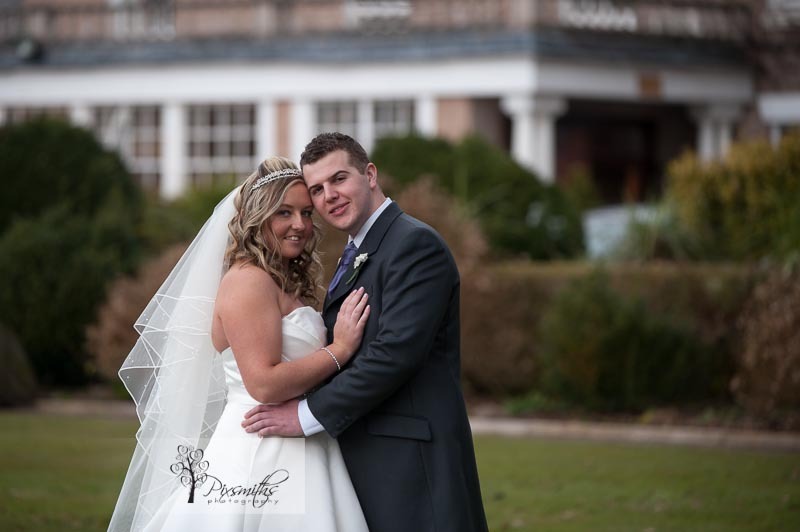 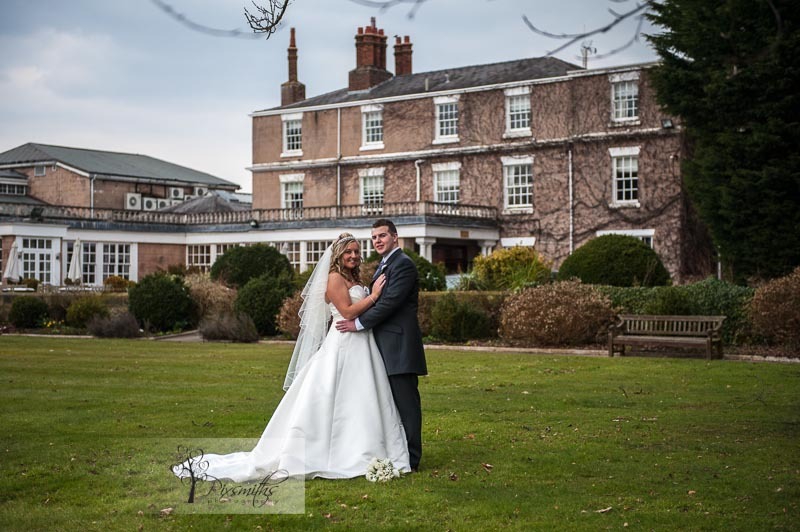 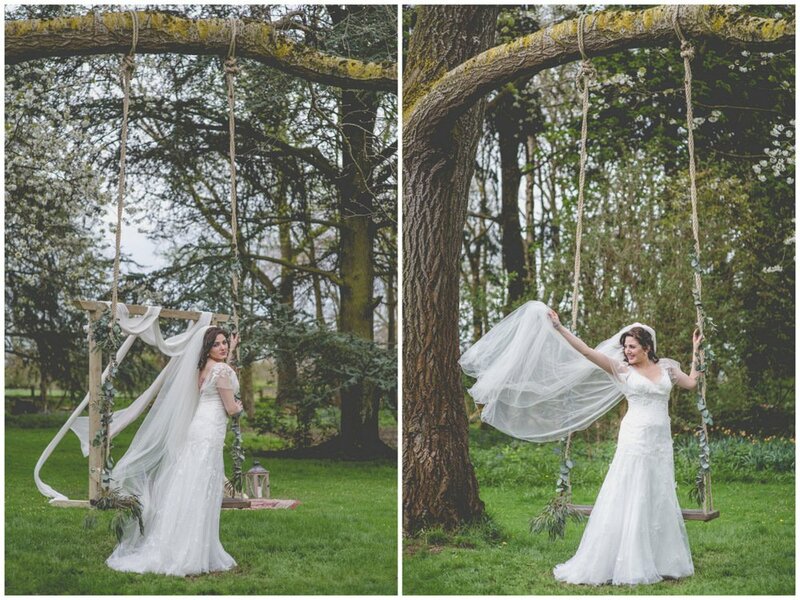 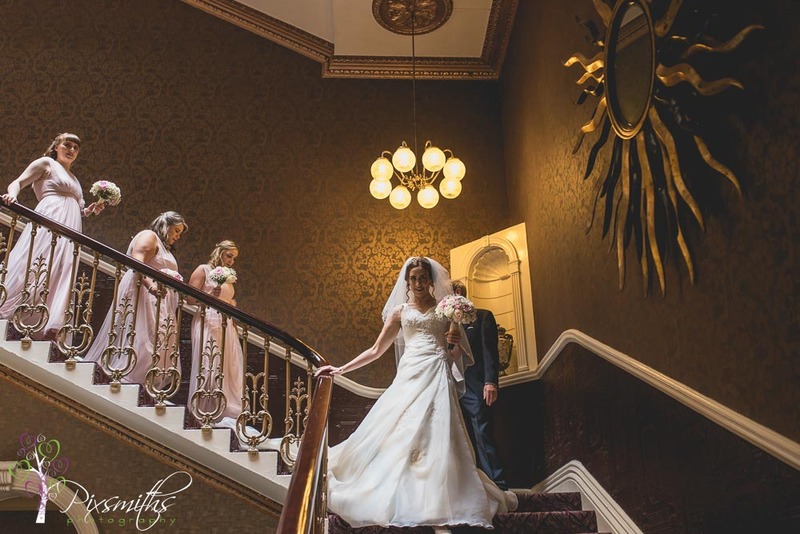 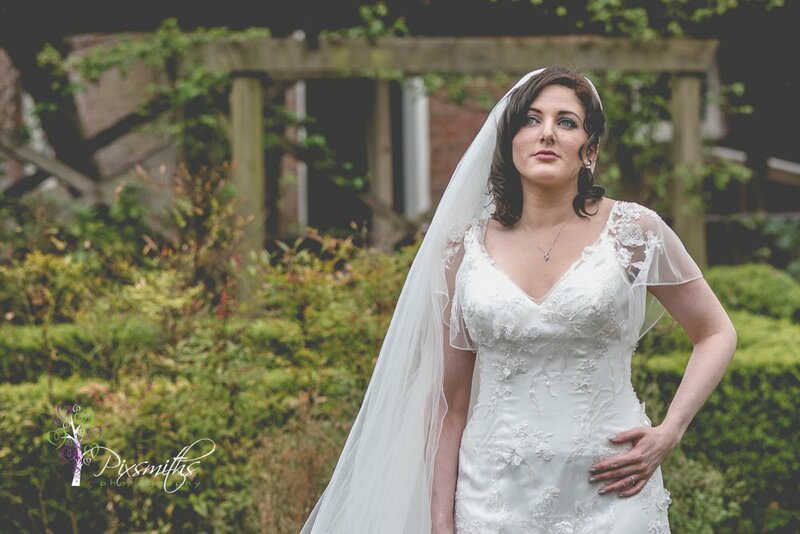 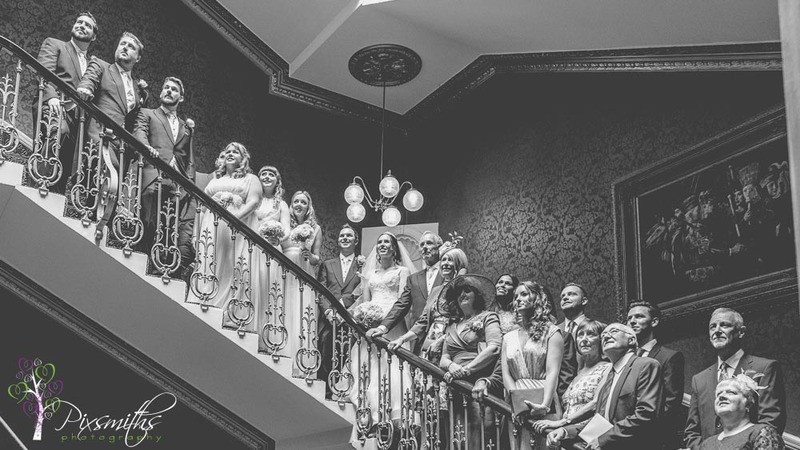 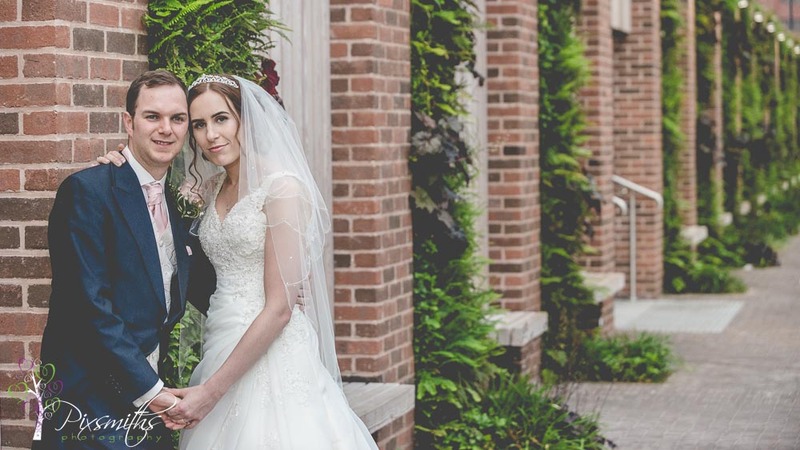 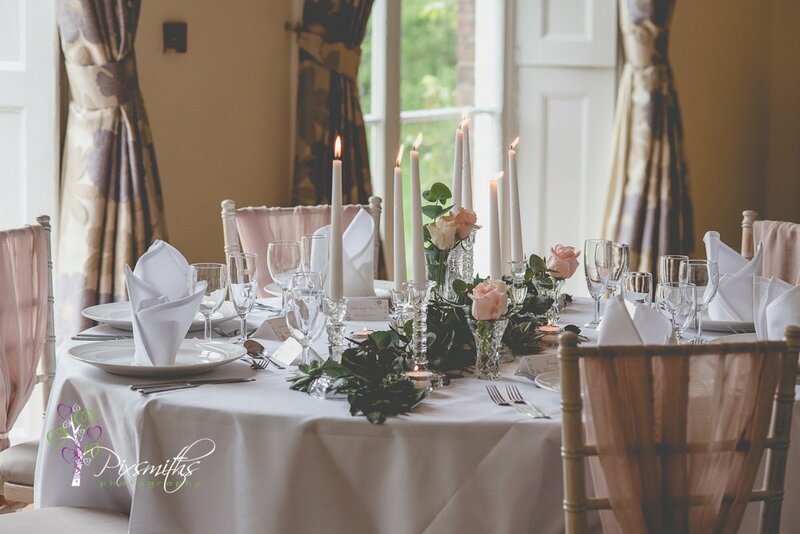 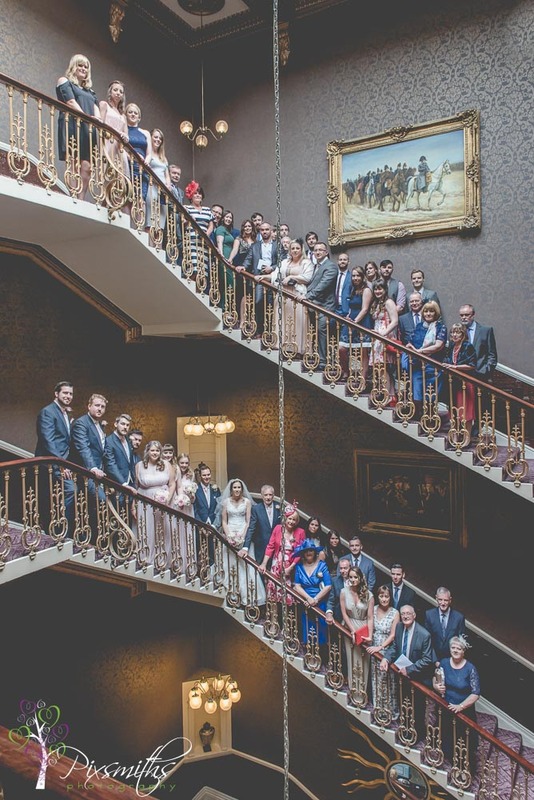 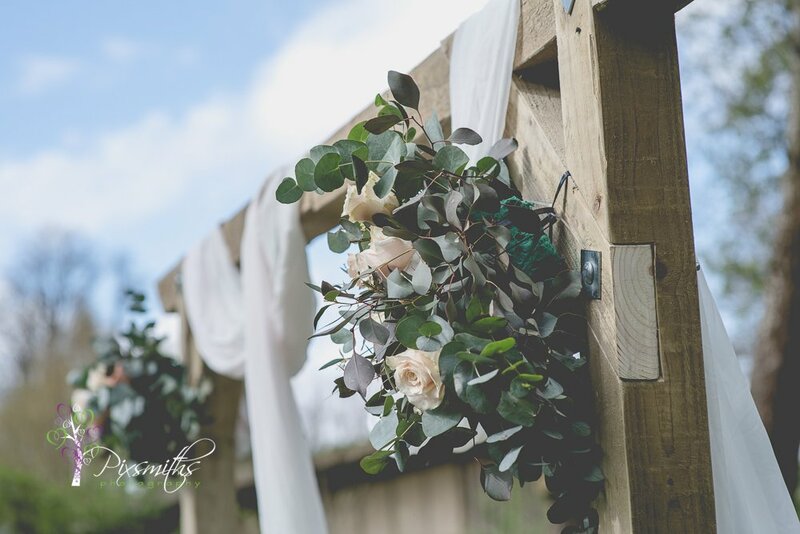 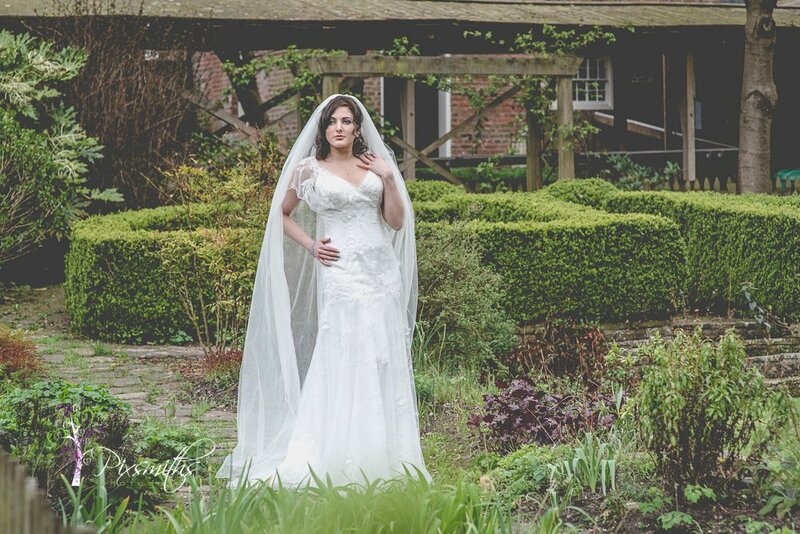 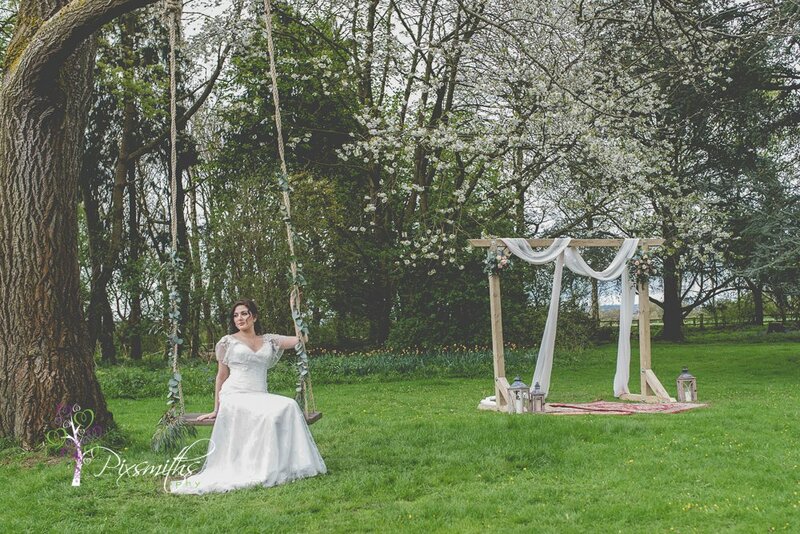 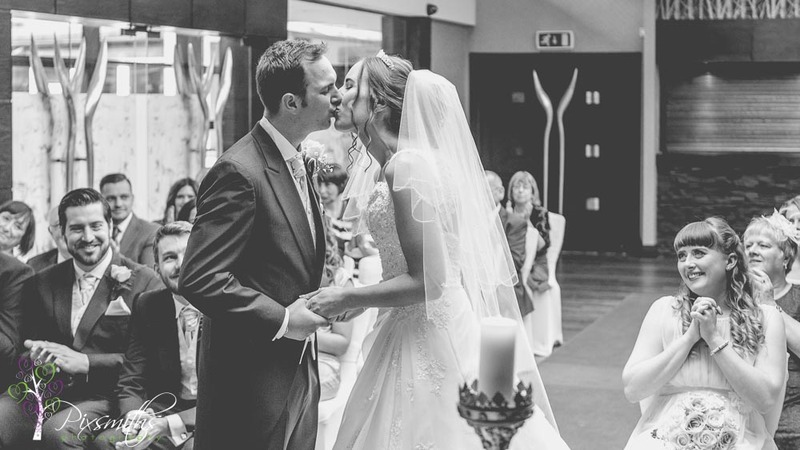 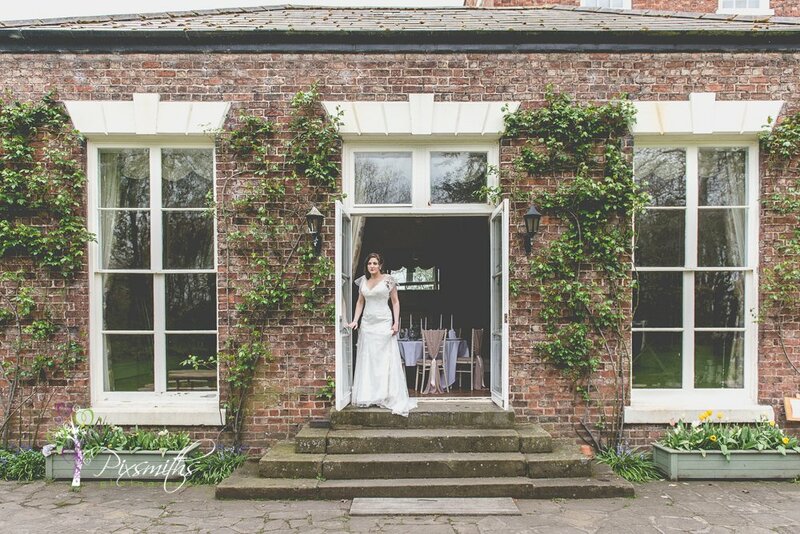 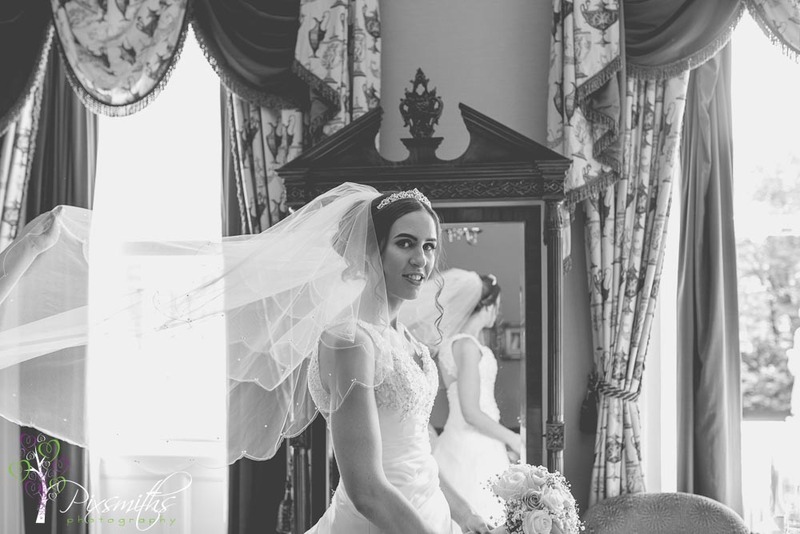 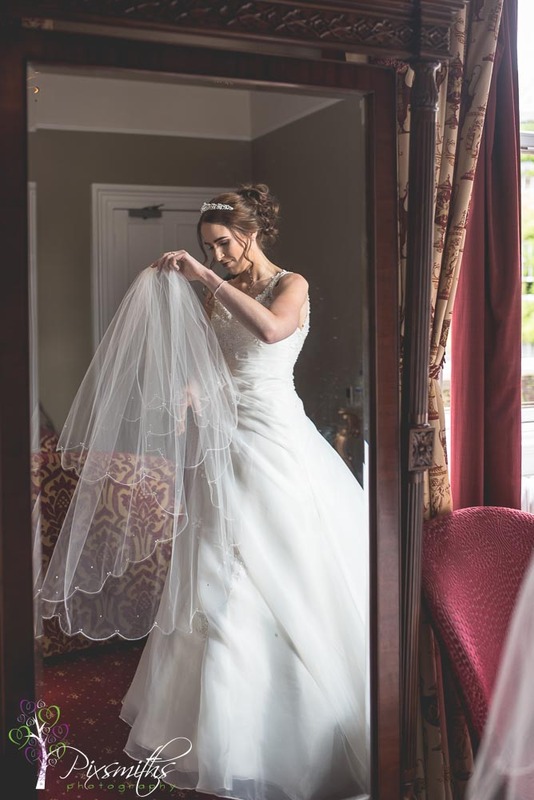 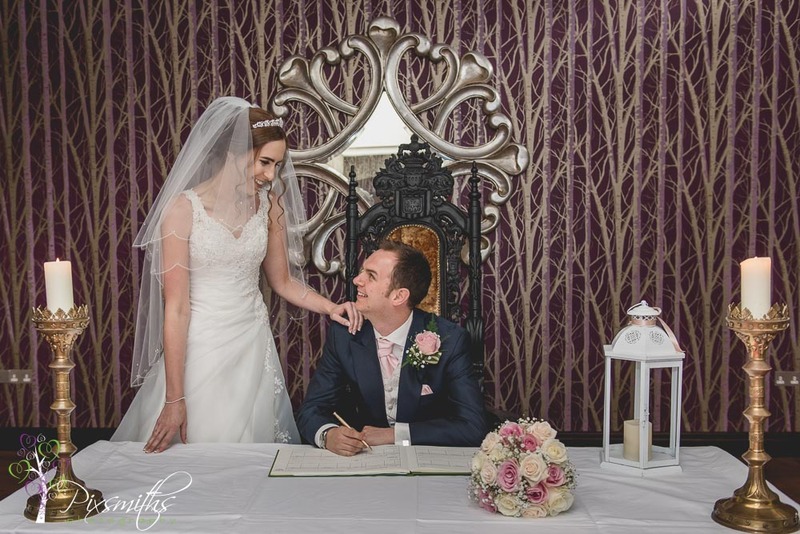 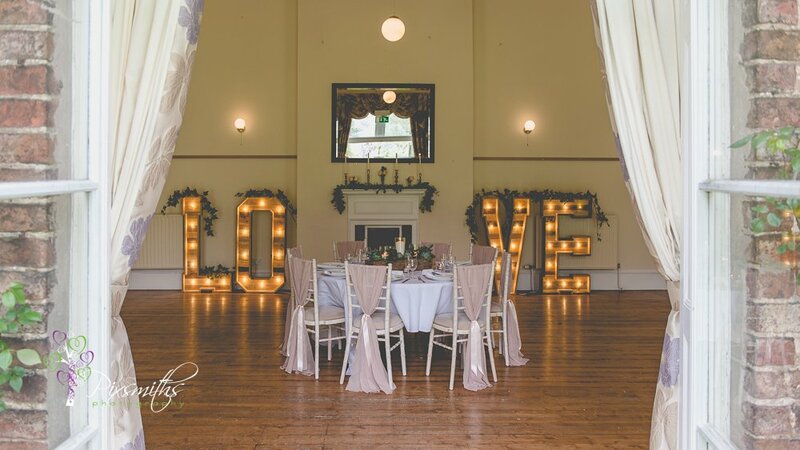 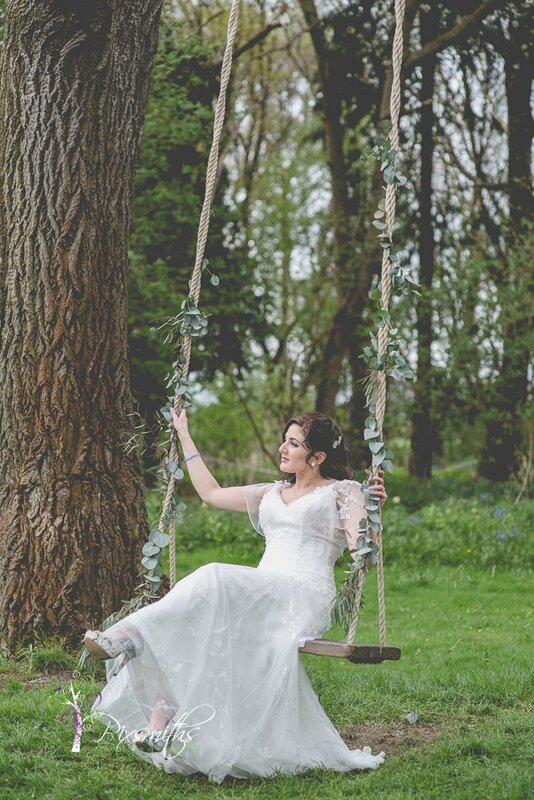 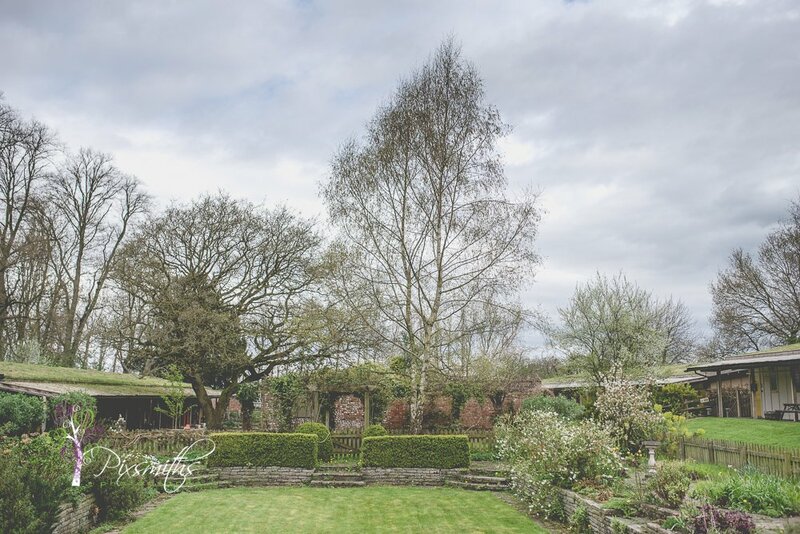 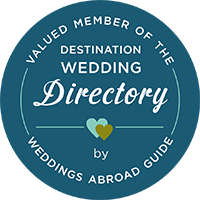 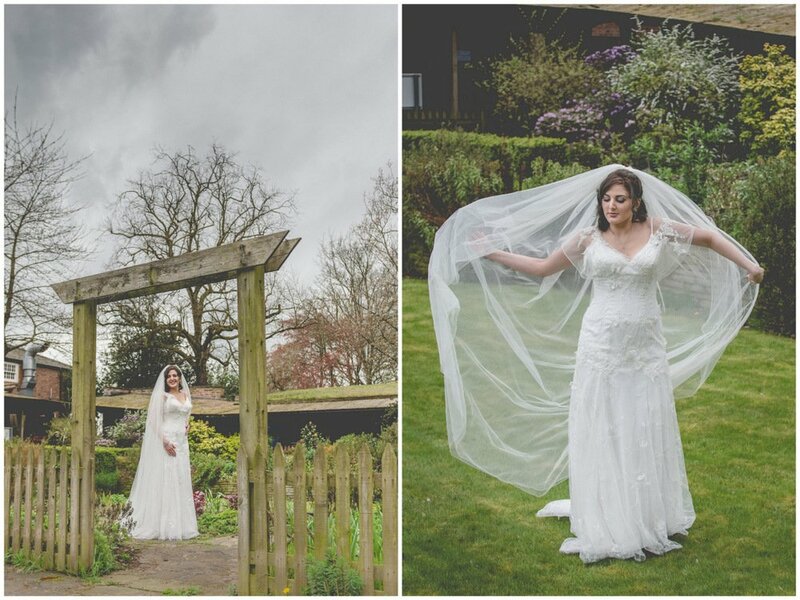 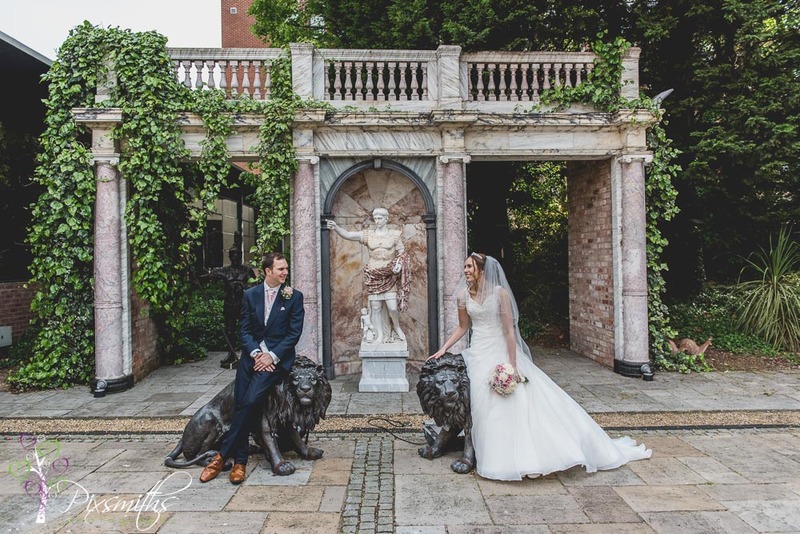 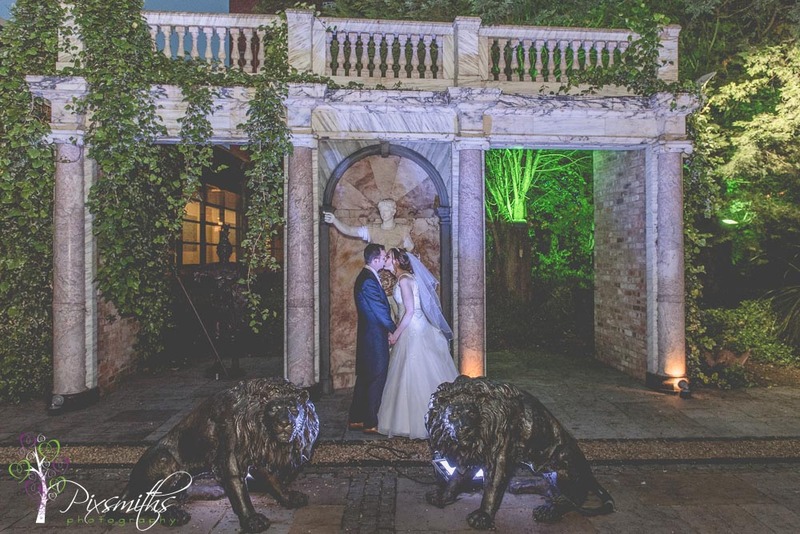 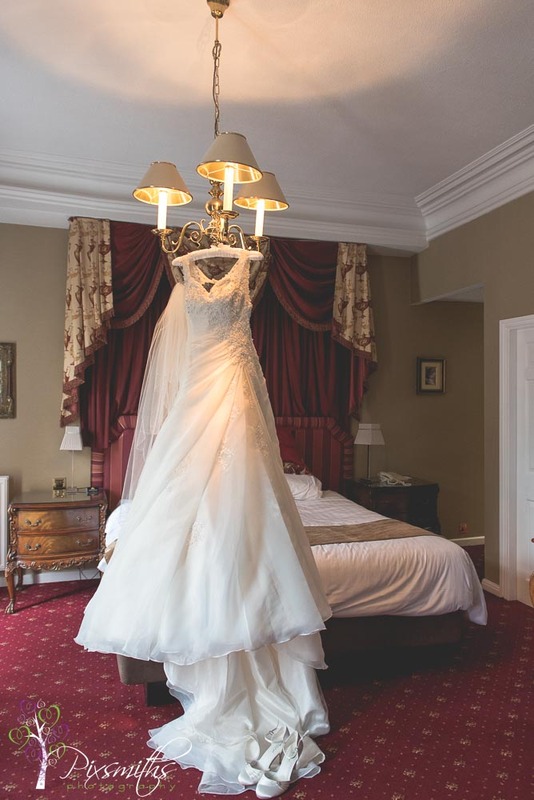 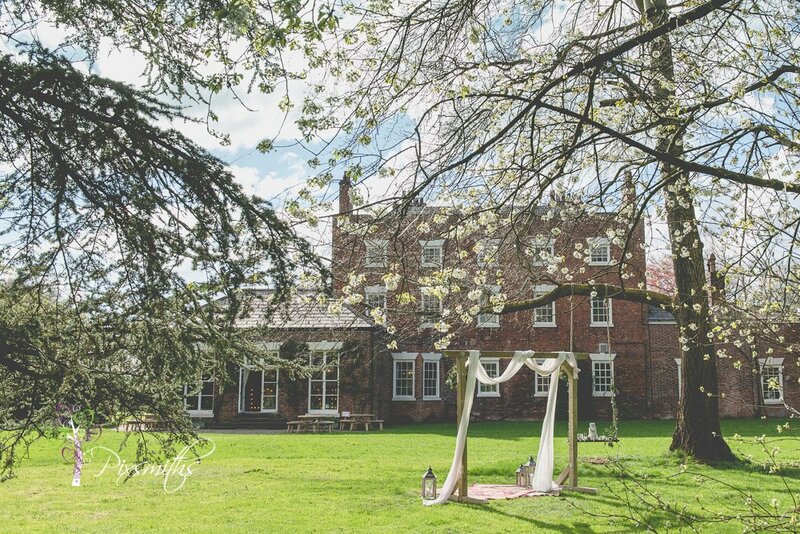 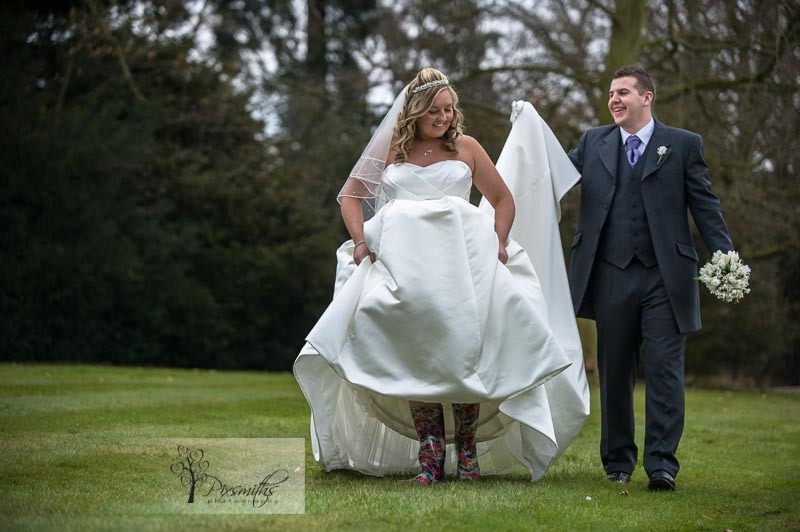 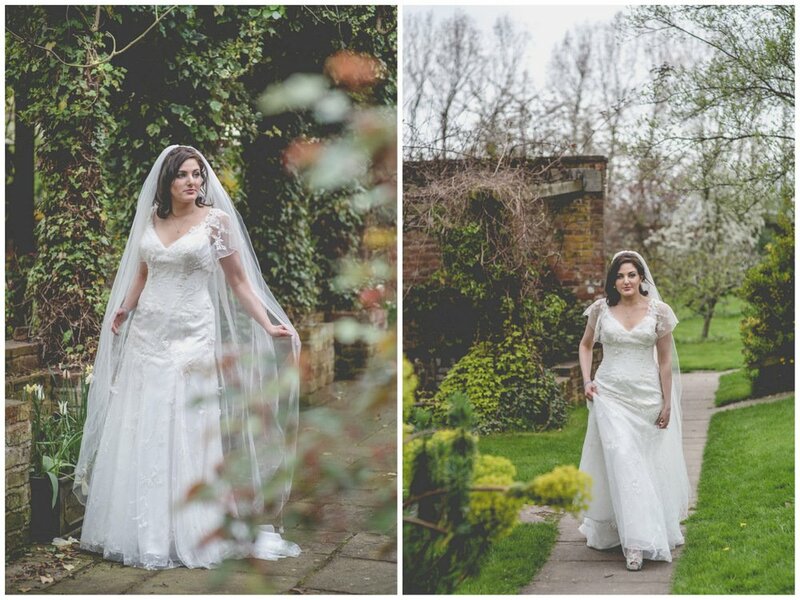 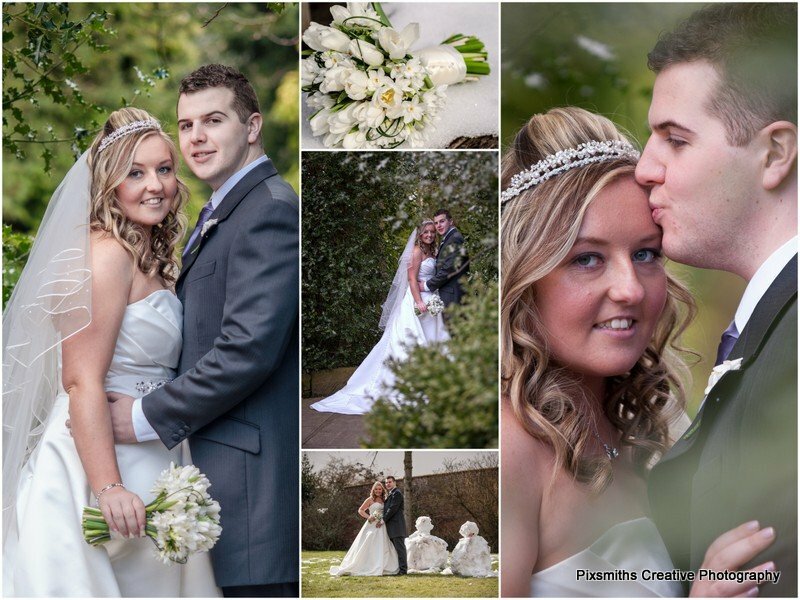 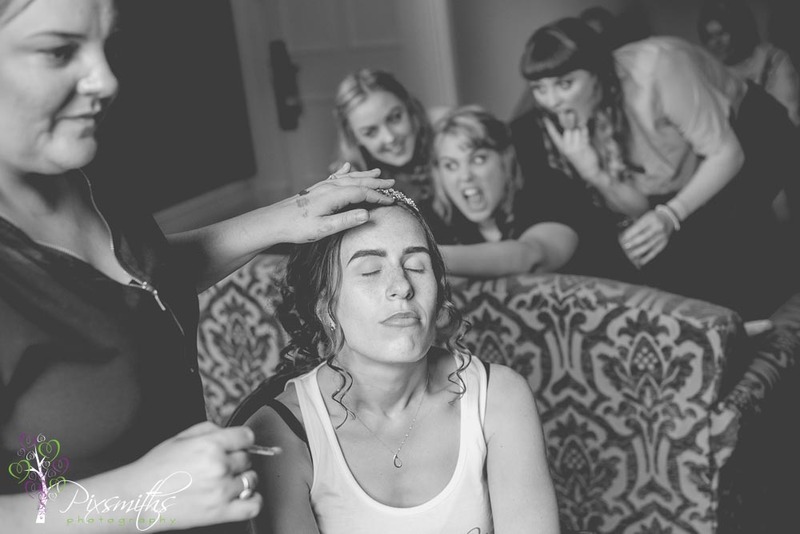 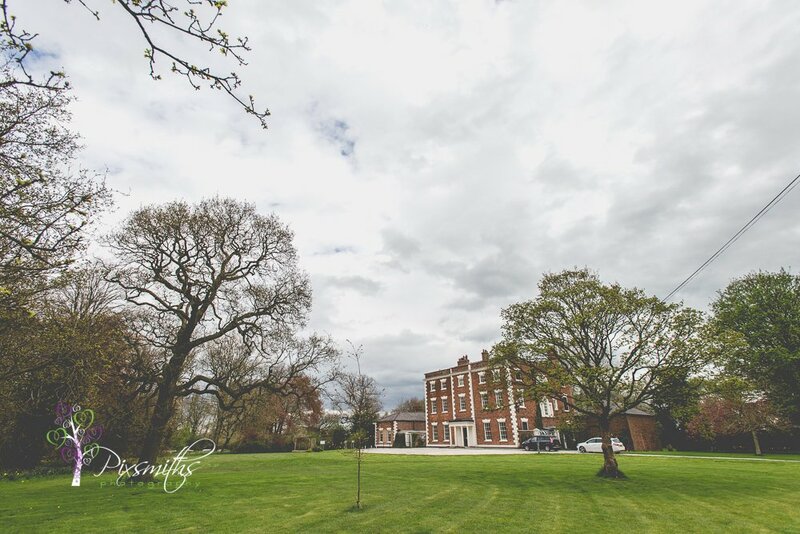 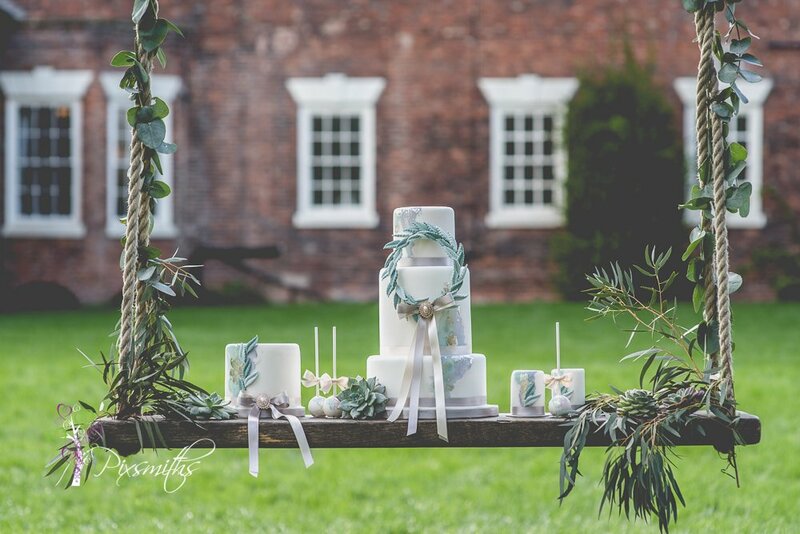 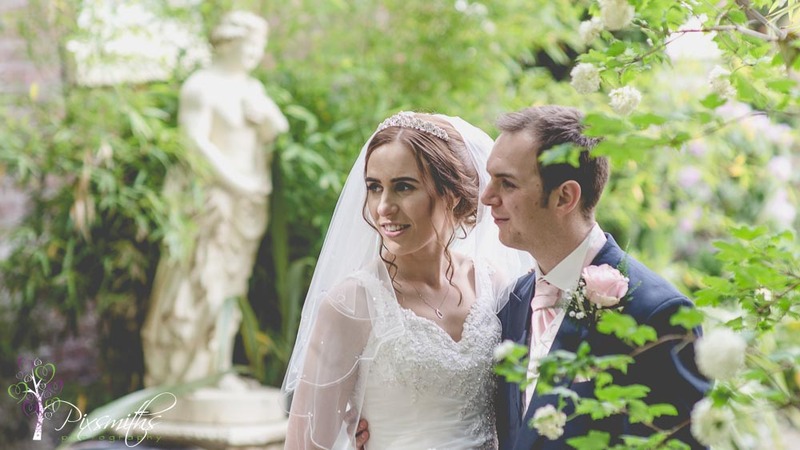 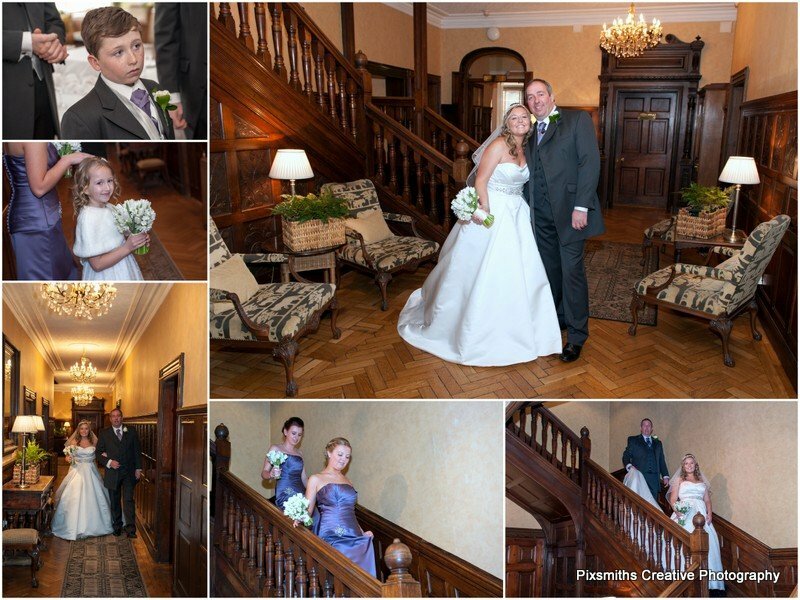 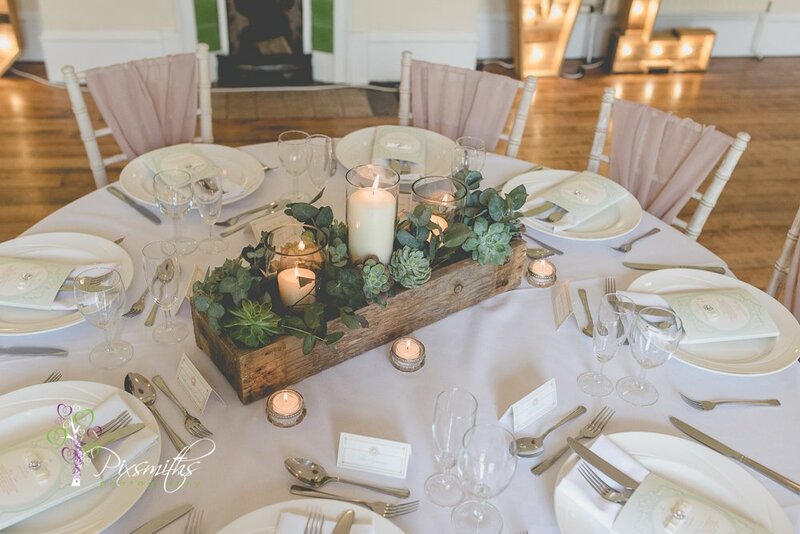 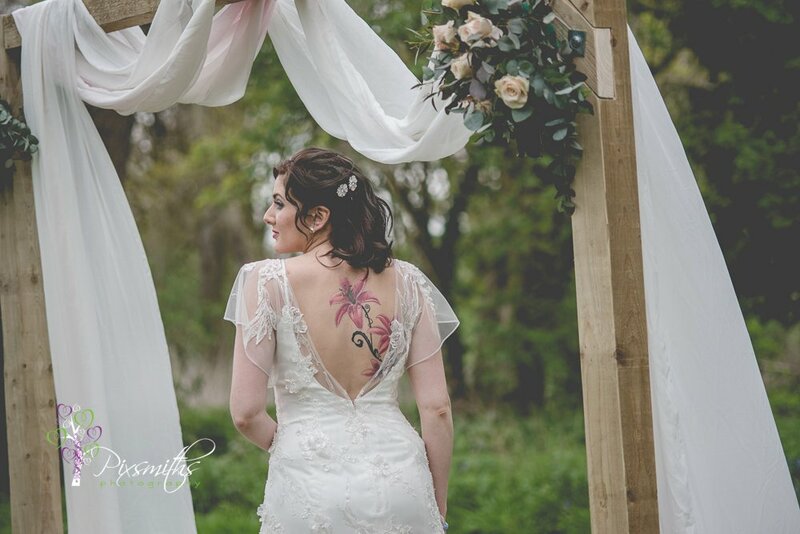 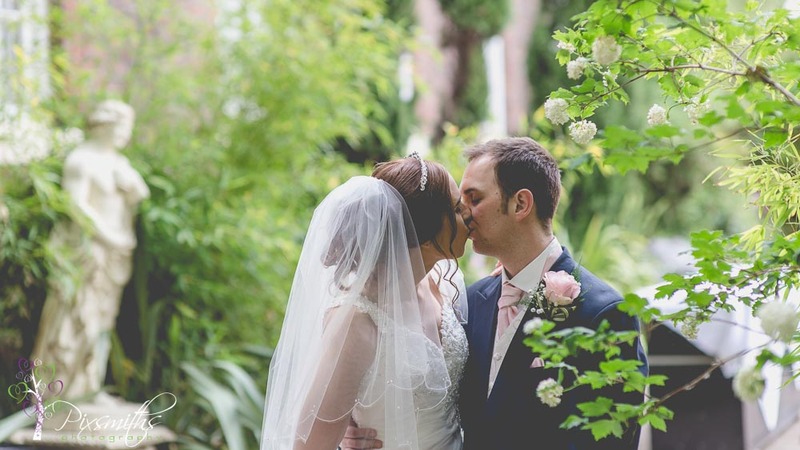 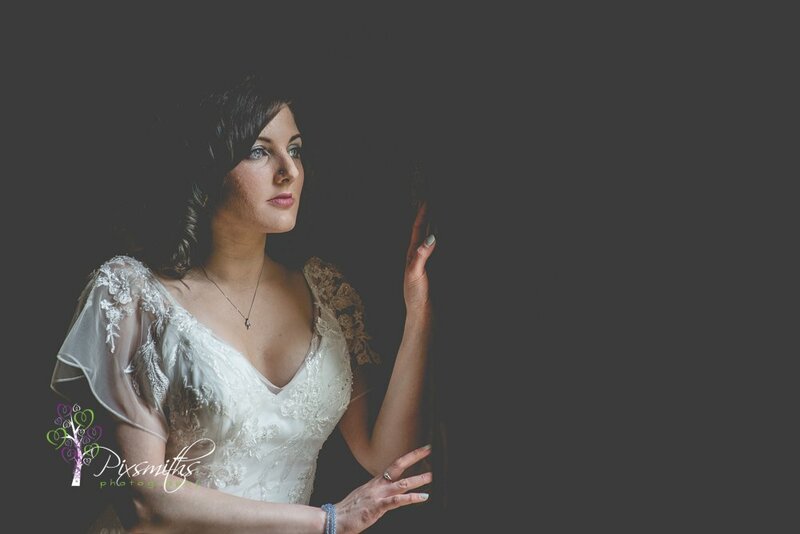 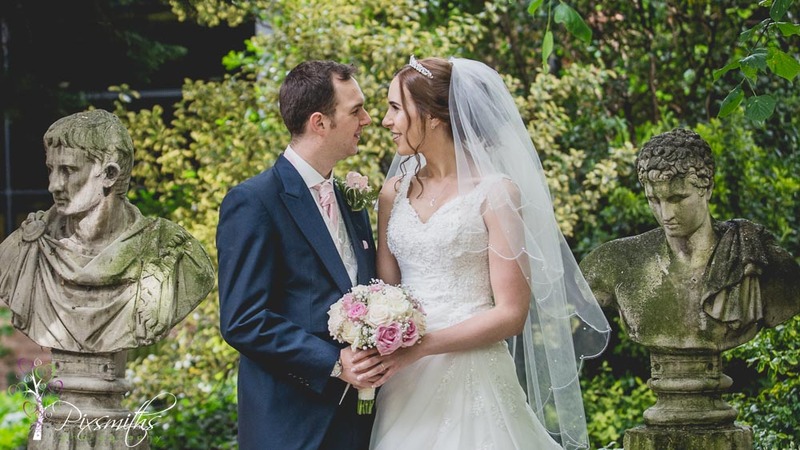 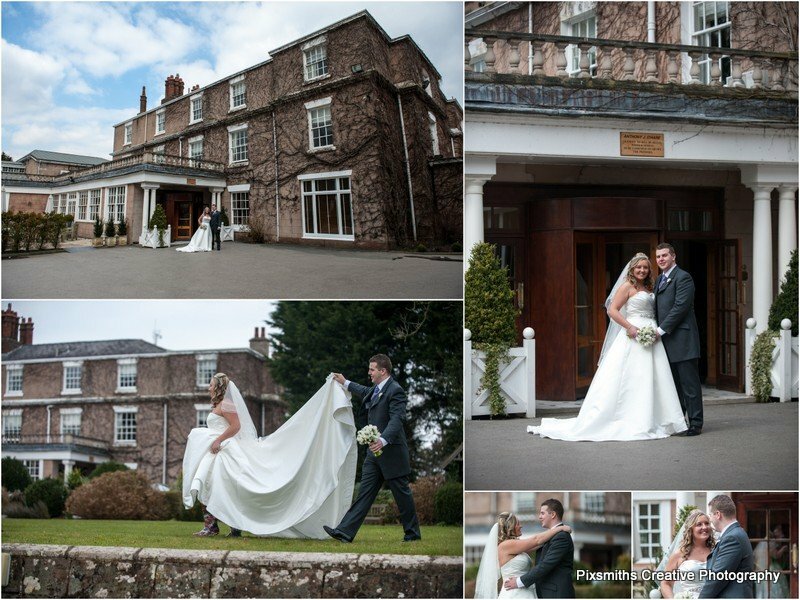 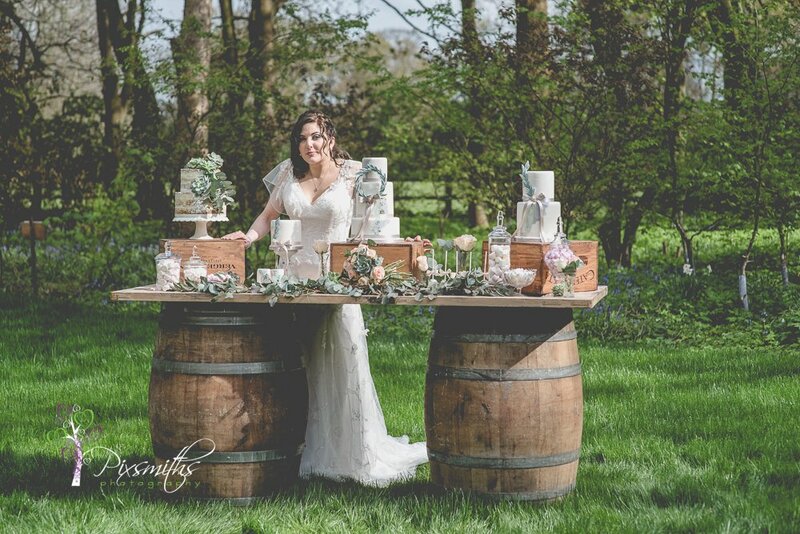 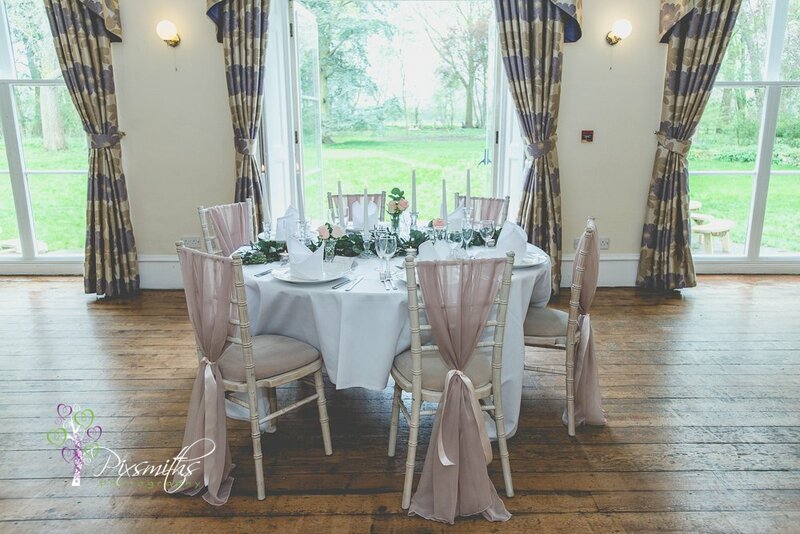 Rowton Hall is one of our favourite venues for wedding photography – idyllicly set in the Cheshire countryside and staff always well organised and accommodating to all concerned with . 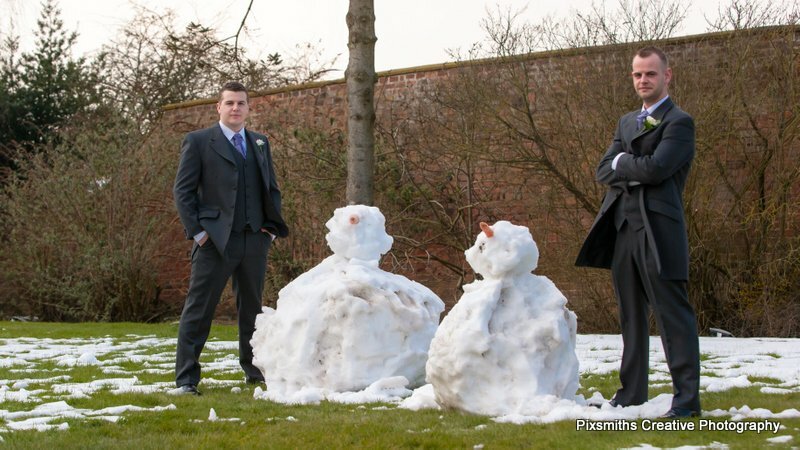 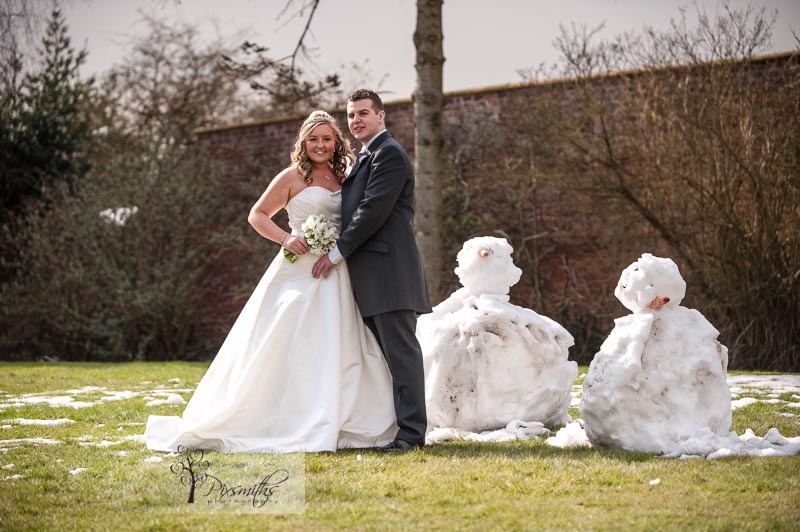 The previous weekend had seen lots of snow and we wondered if we would have another white wedding…well most had gone but there were 2 extra guests for the group photos – 2 snowmen, which remained in the garden. 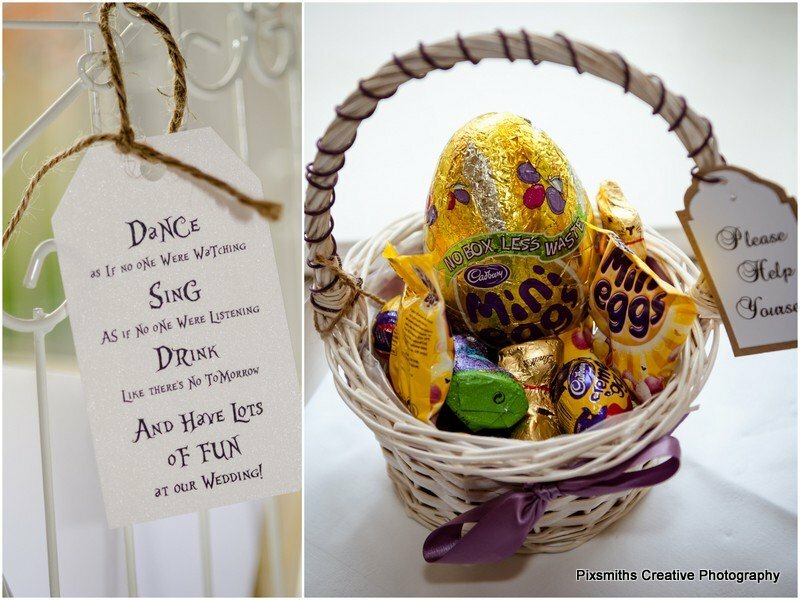 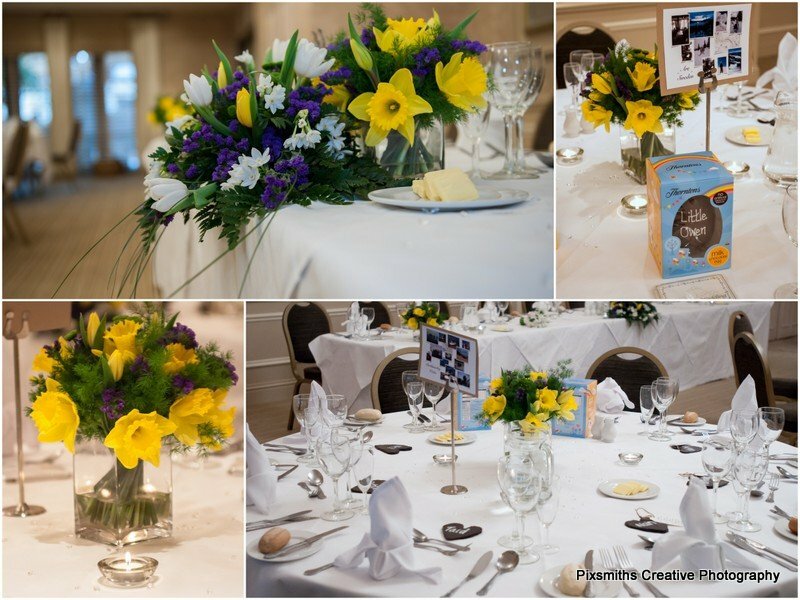 Easter season lent itself to the colours of the day, yellow and white flowers and Easter eggs as favours along with welsh slate hearts. 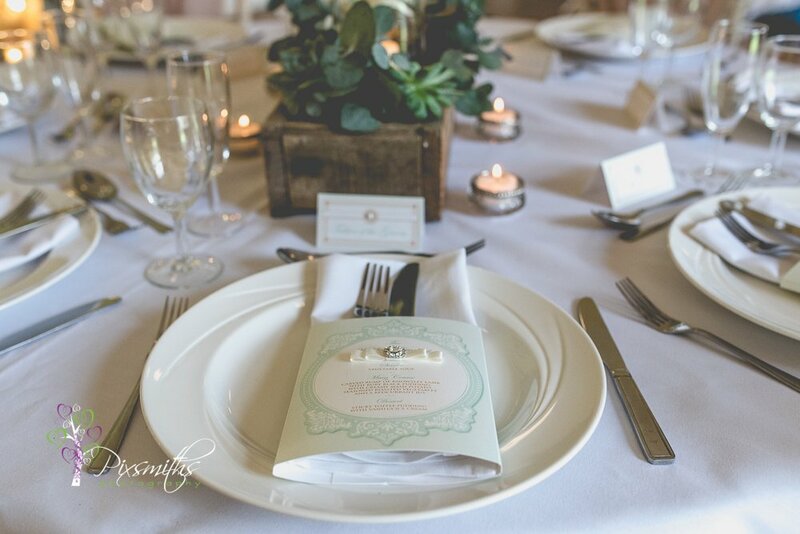 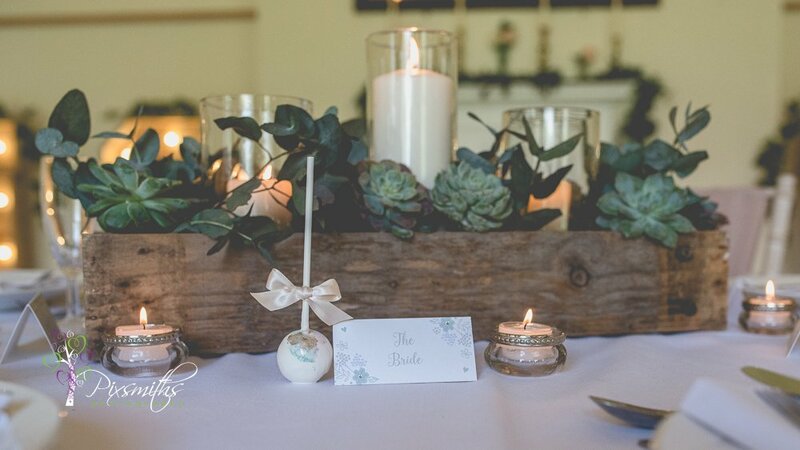 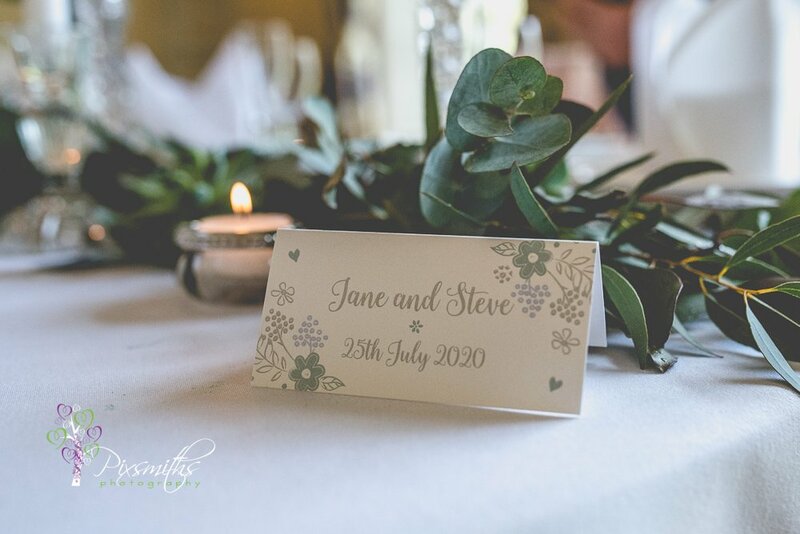 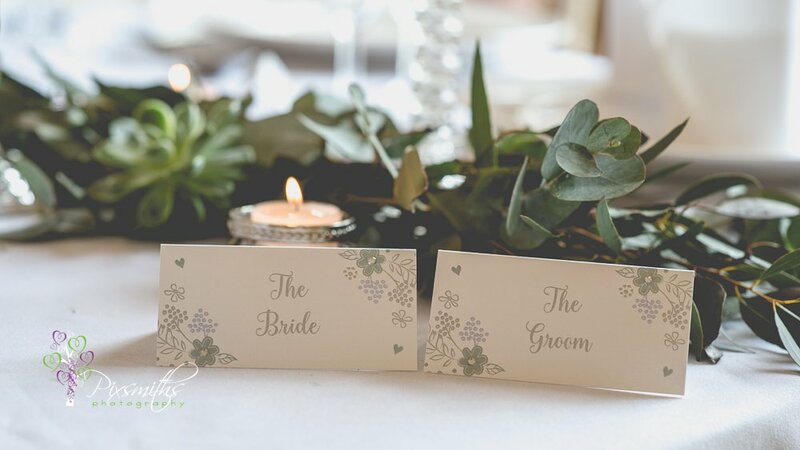 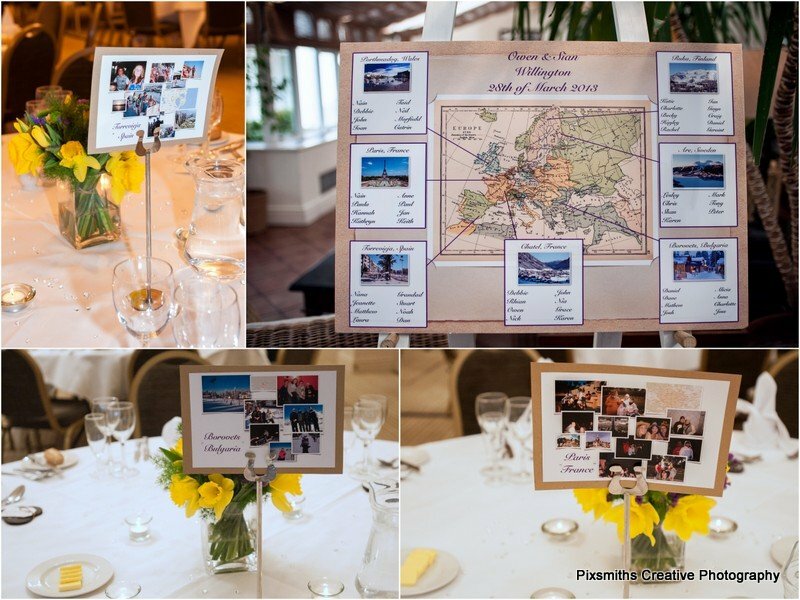 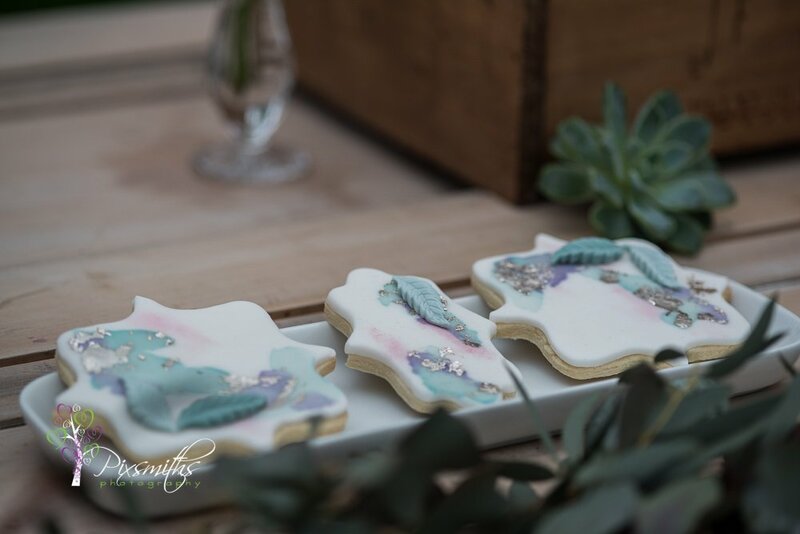 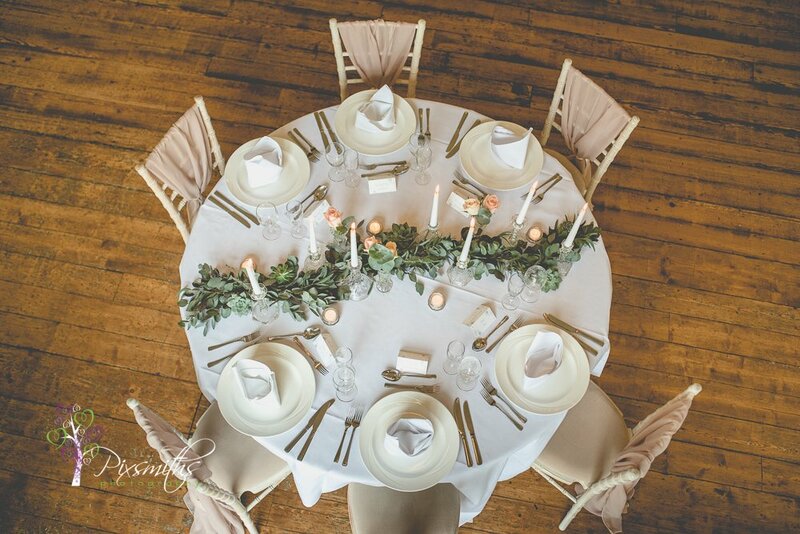 The table plan was a clever map with country names that had special meaning for Sian and Owen…and on the table place holder was images of their guests on that table they had connections from that country…made for a great conversation at the tabke I’m sure. 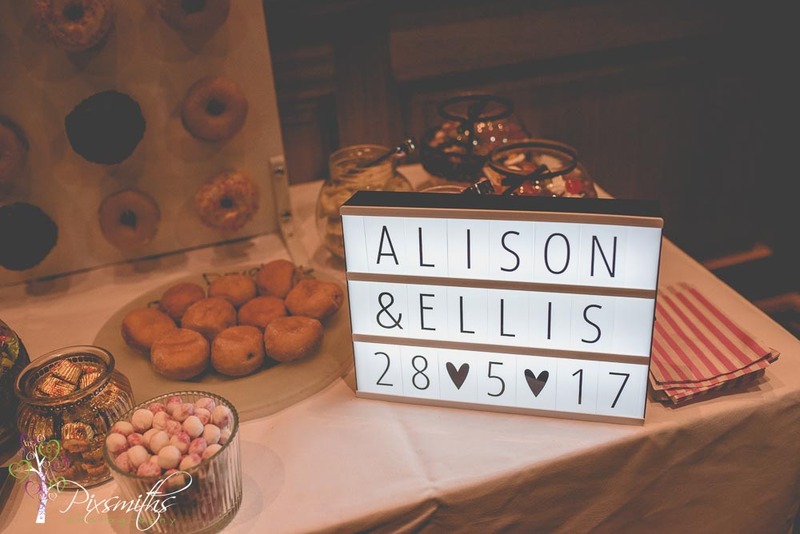 Simple, effective and well thought out idea from the happy couple. 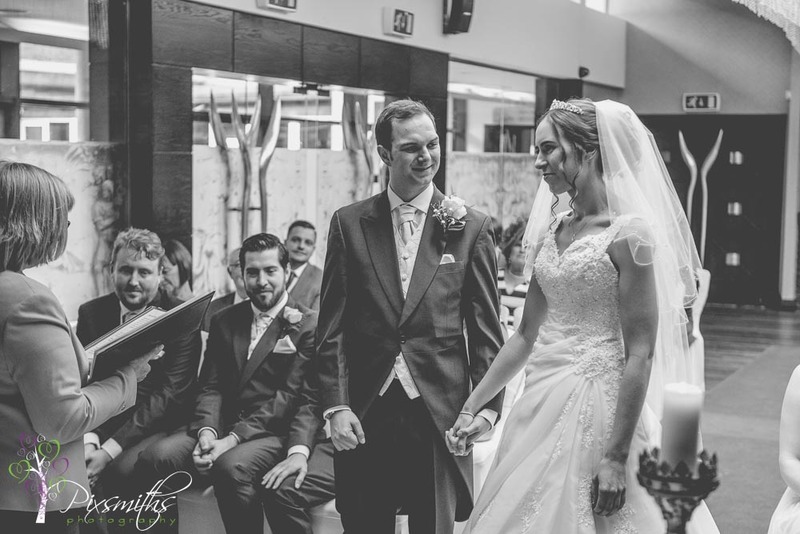 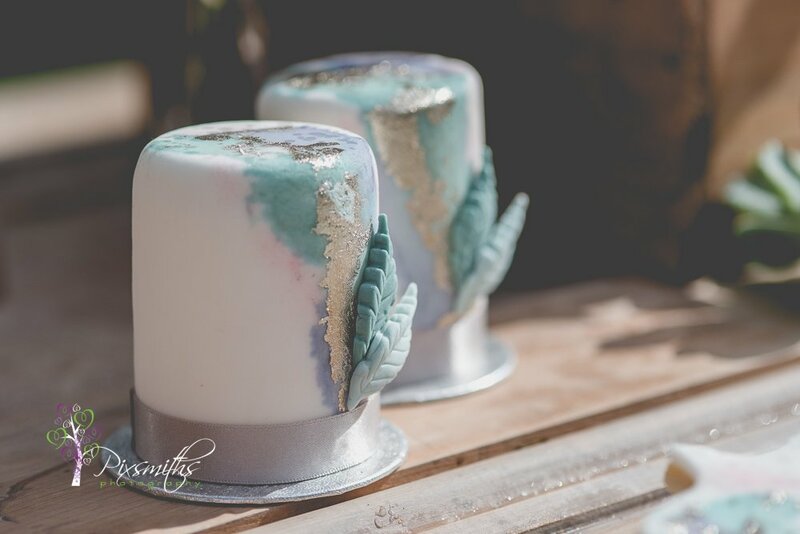 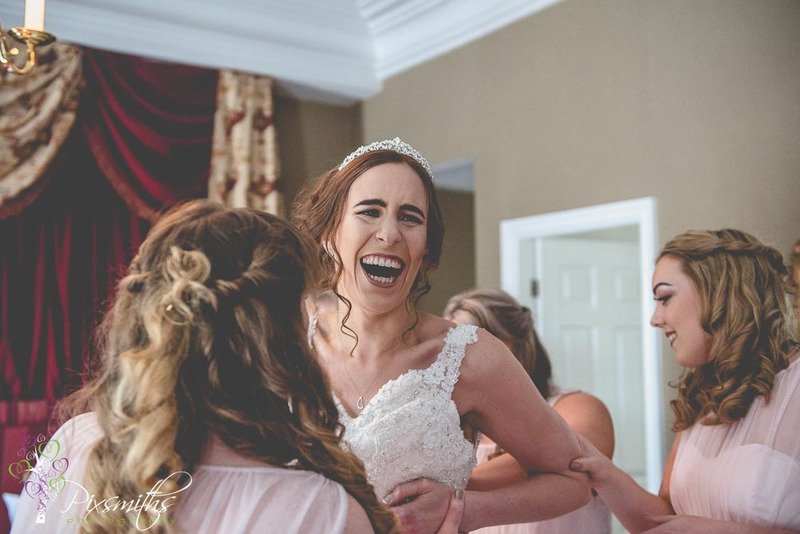 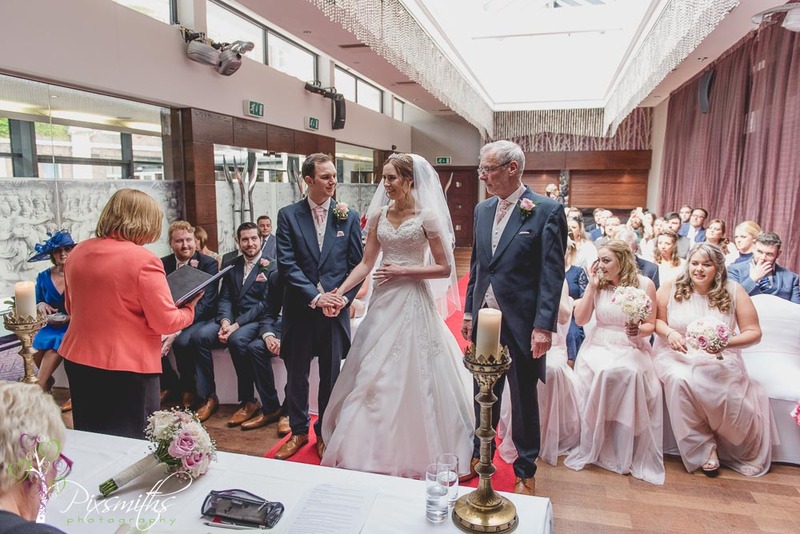 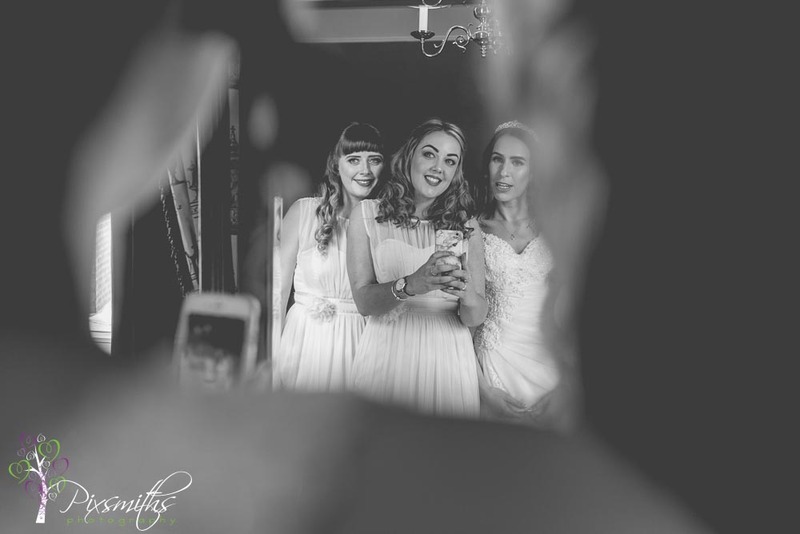 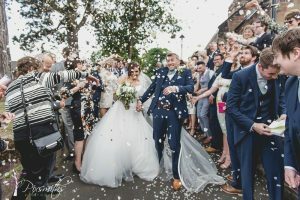 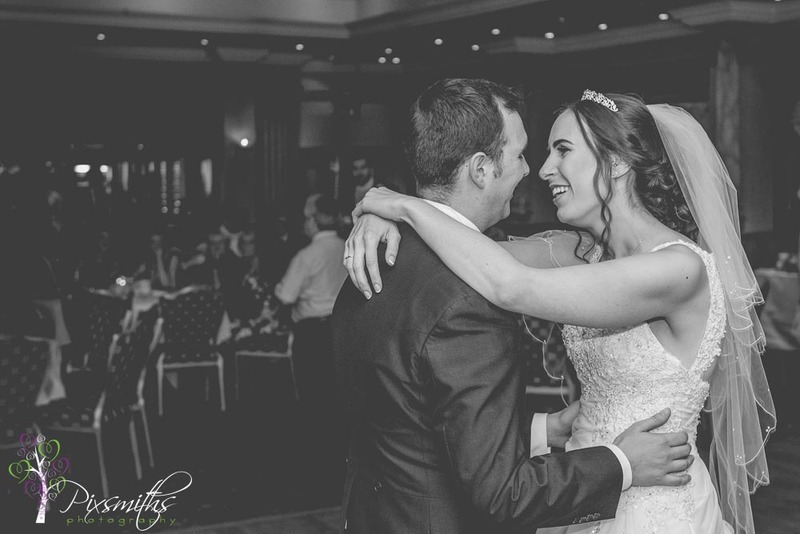 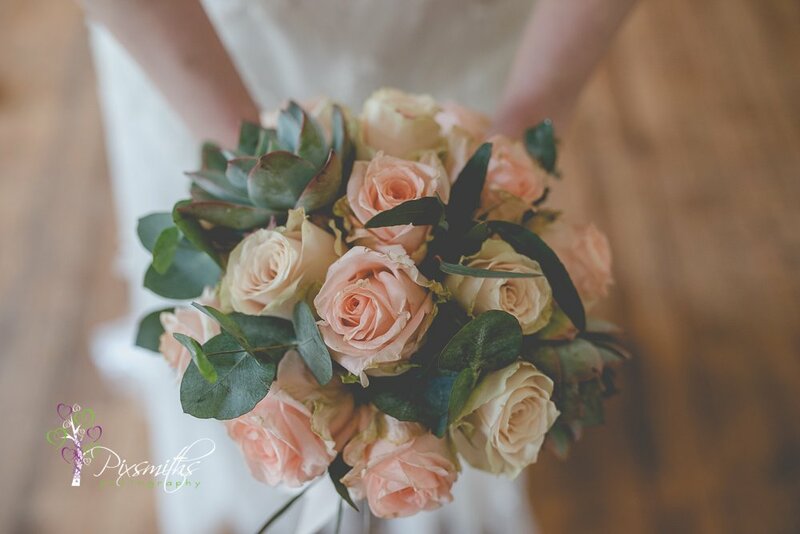 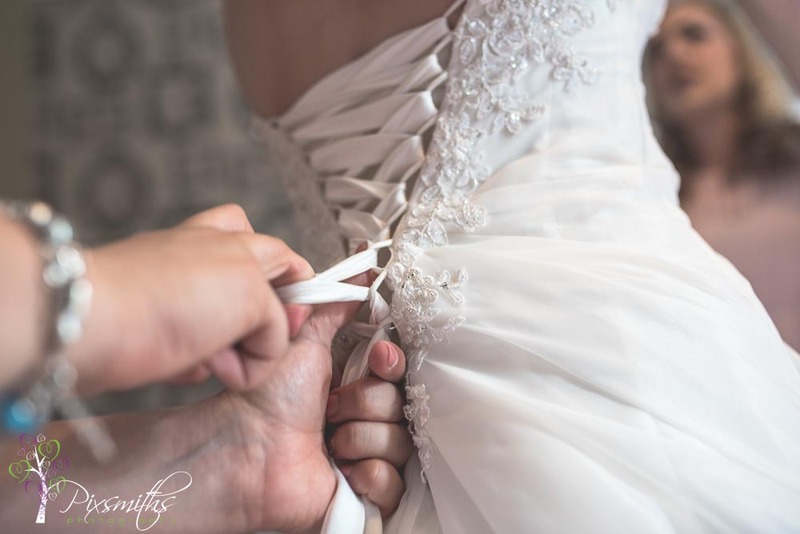 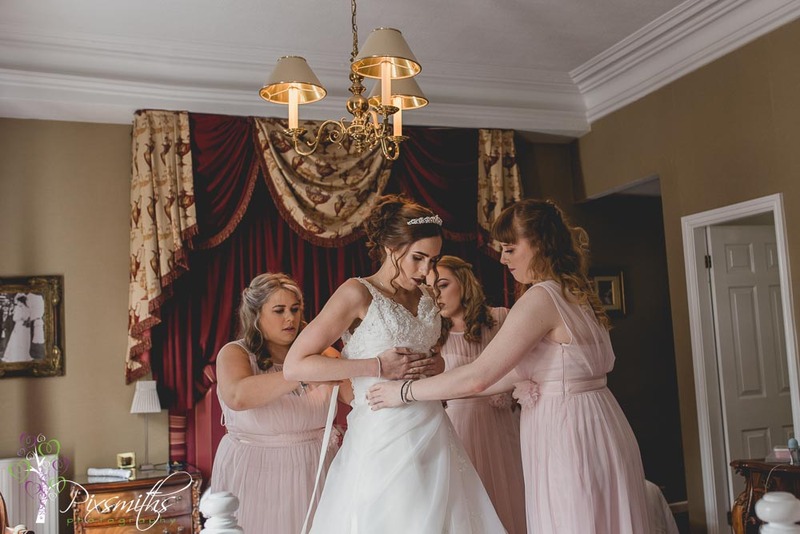 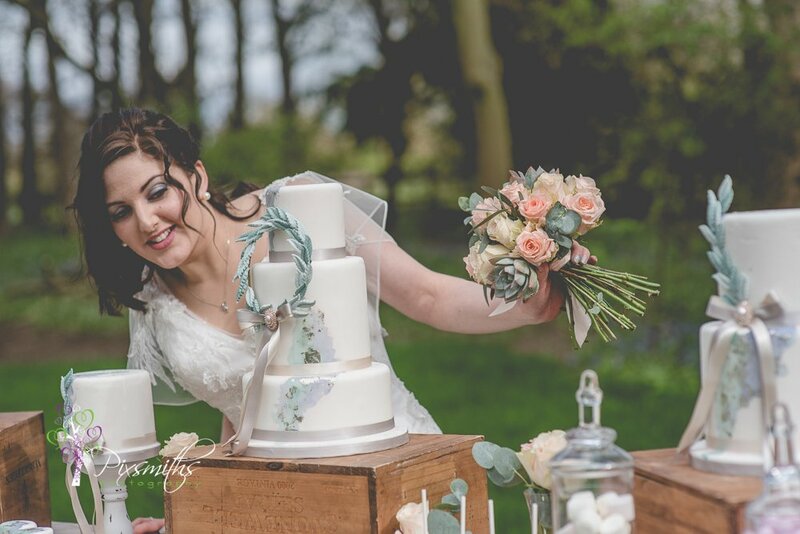 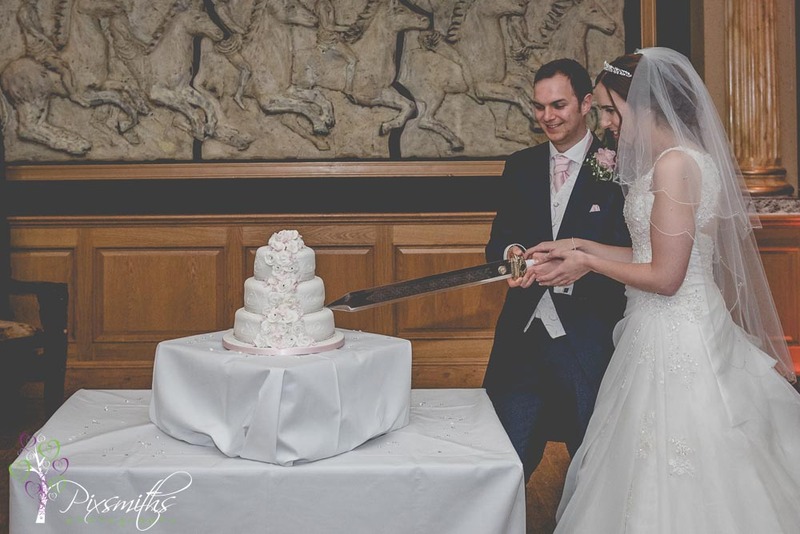 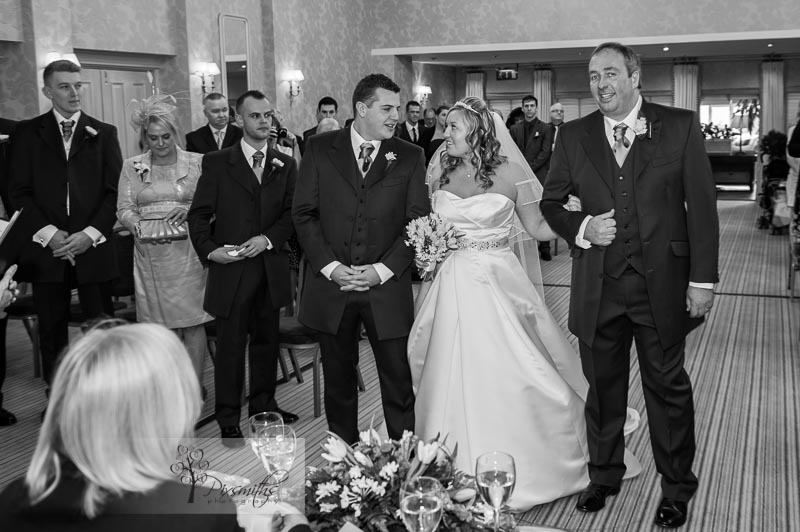 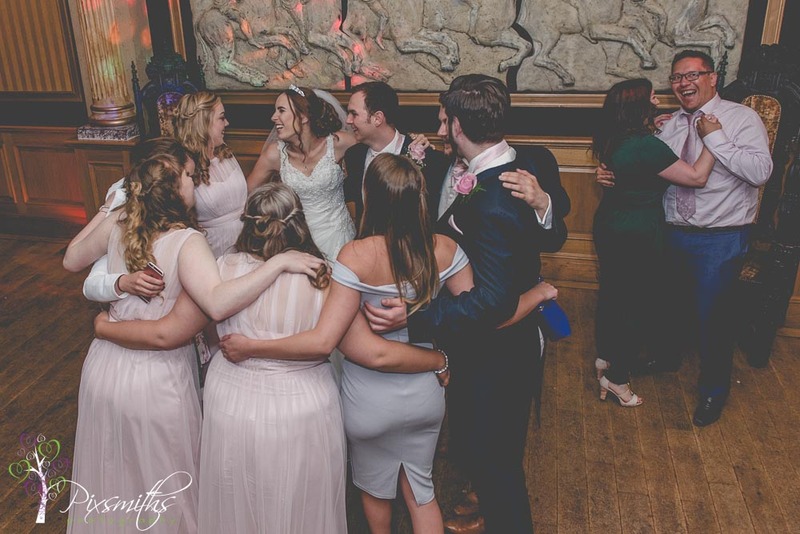 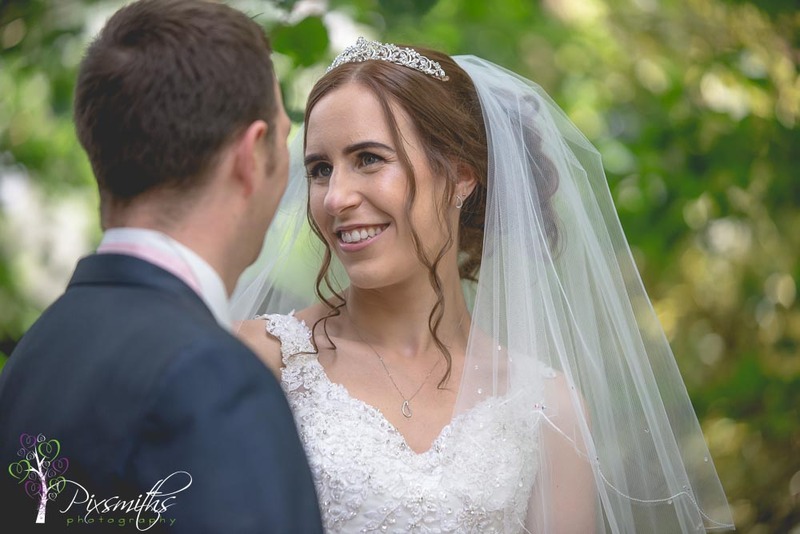 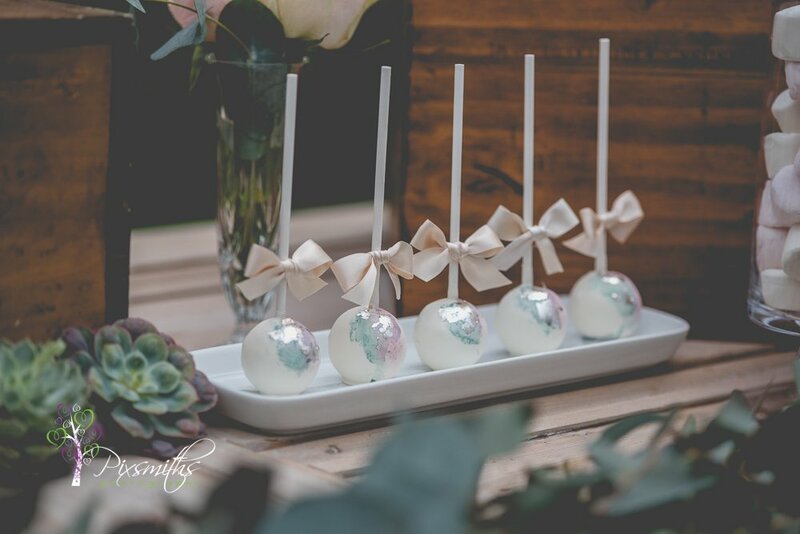 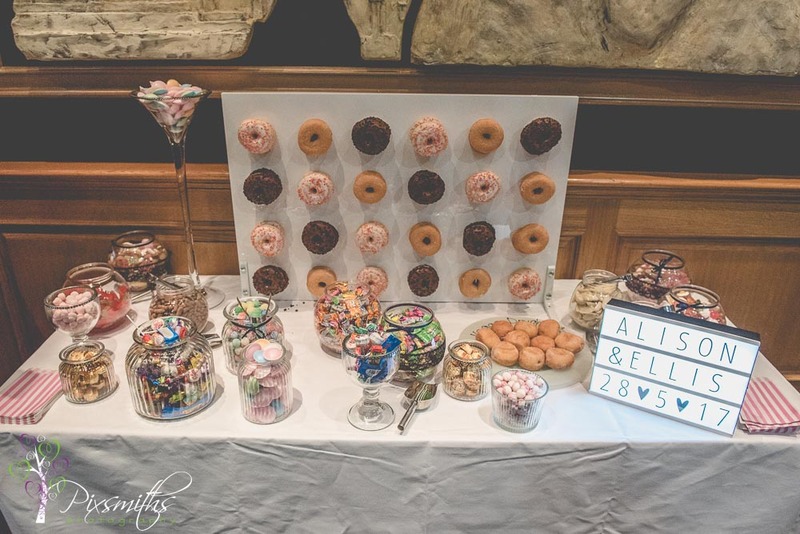 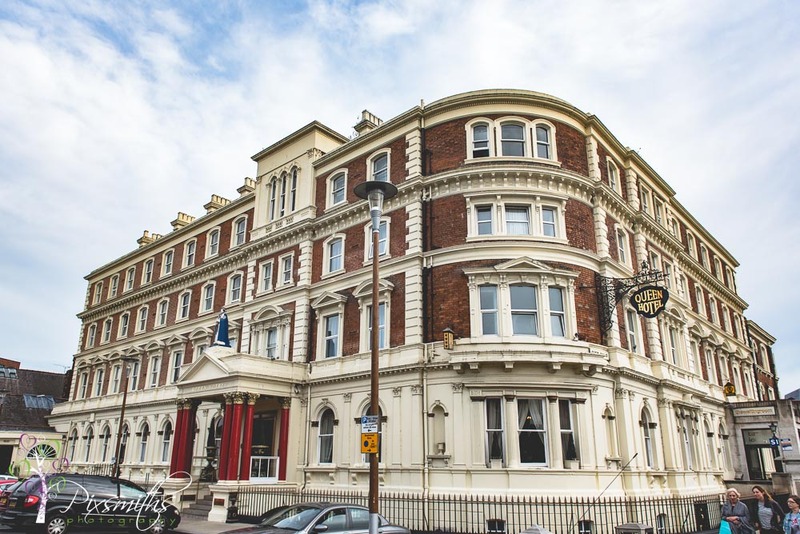 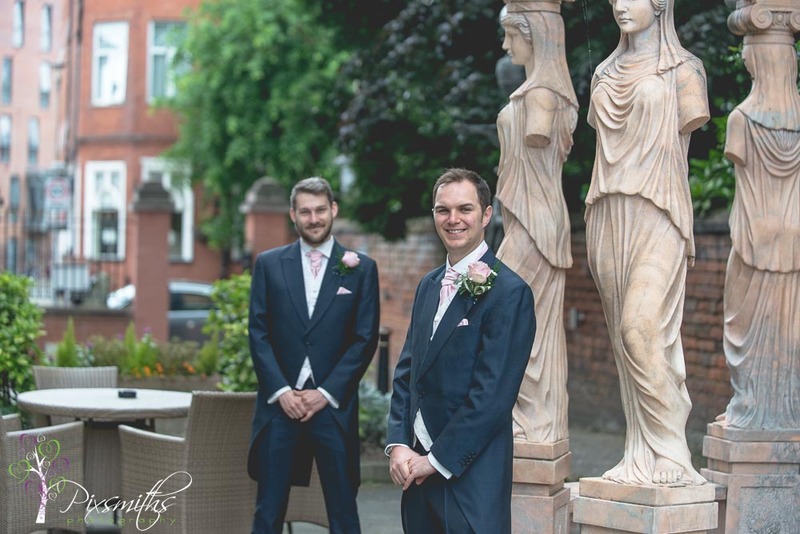 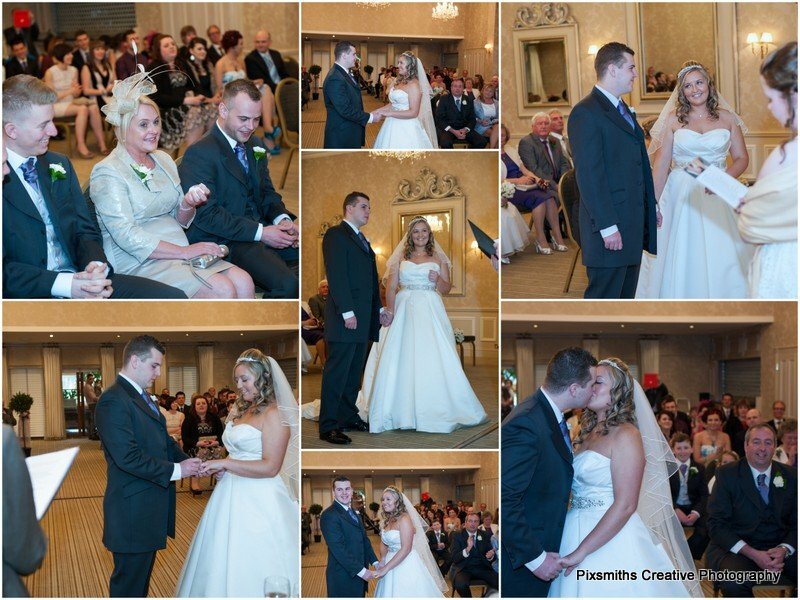 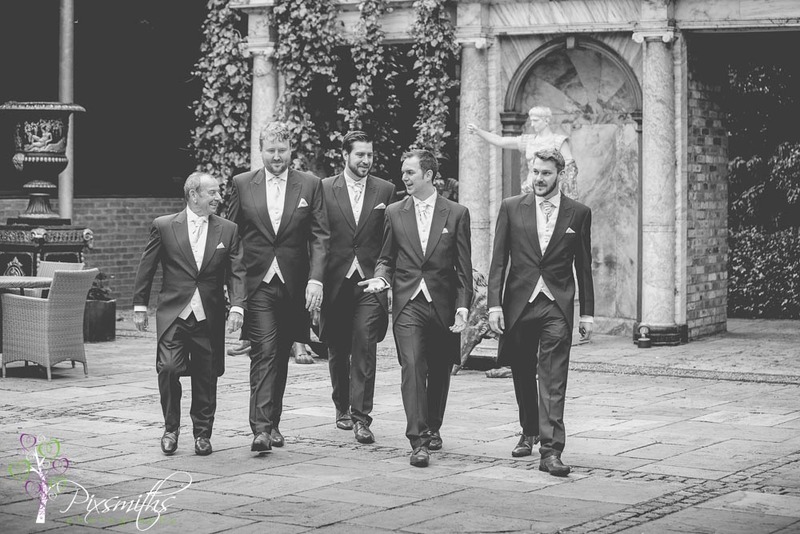 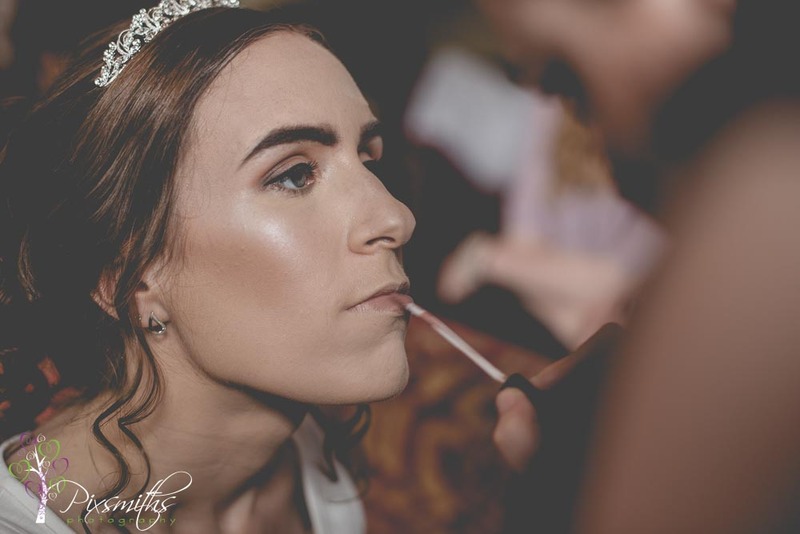 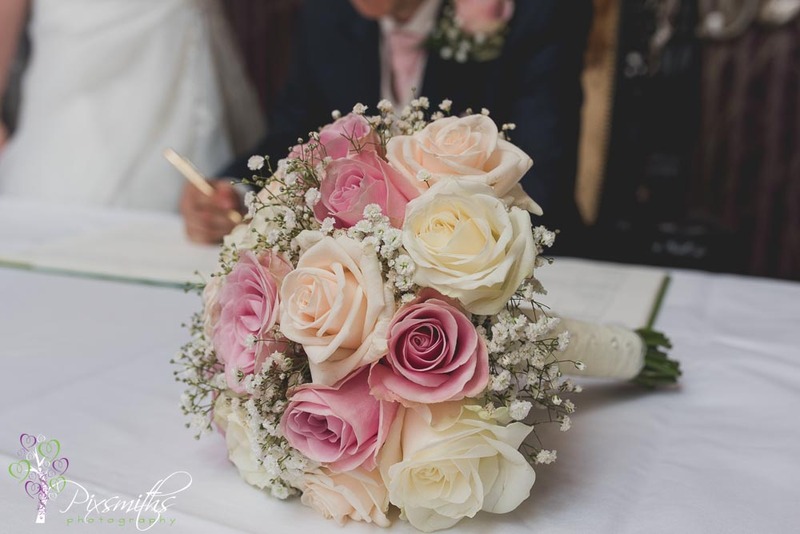 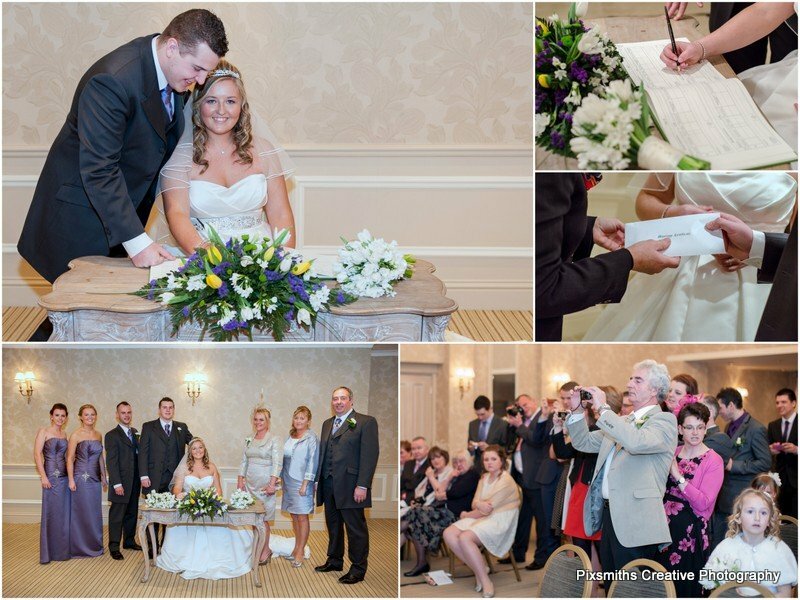 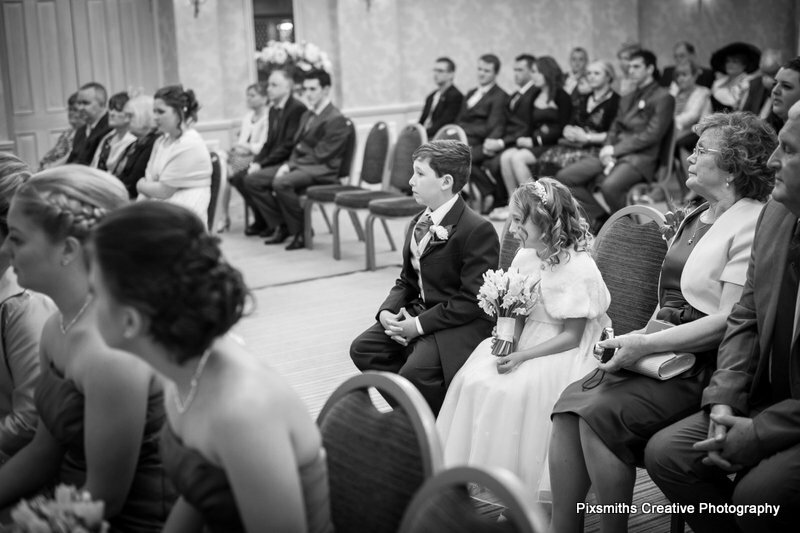 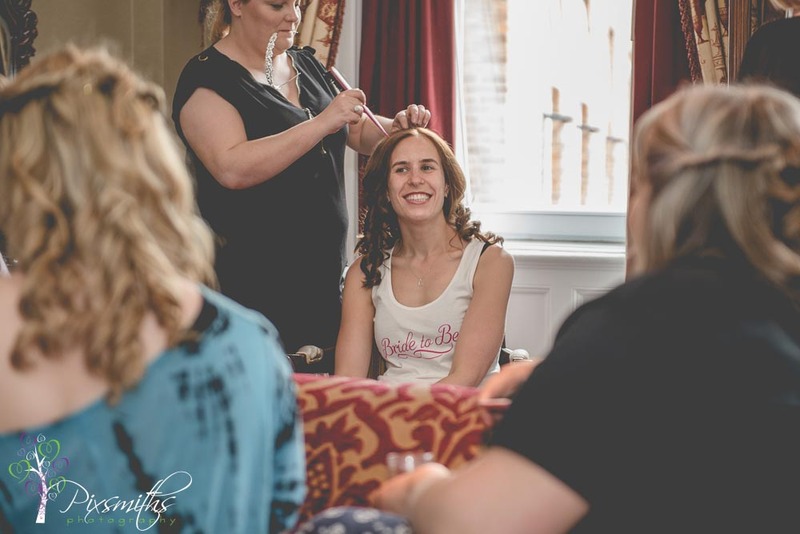 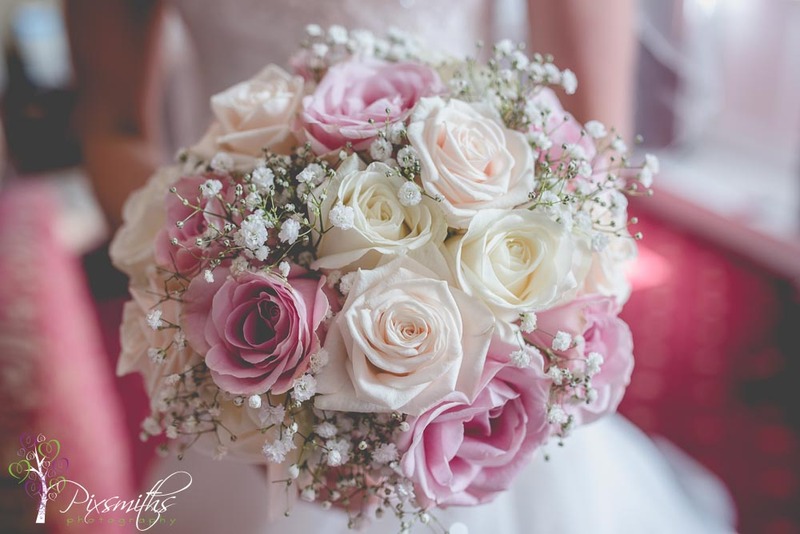 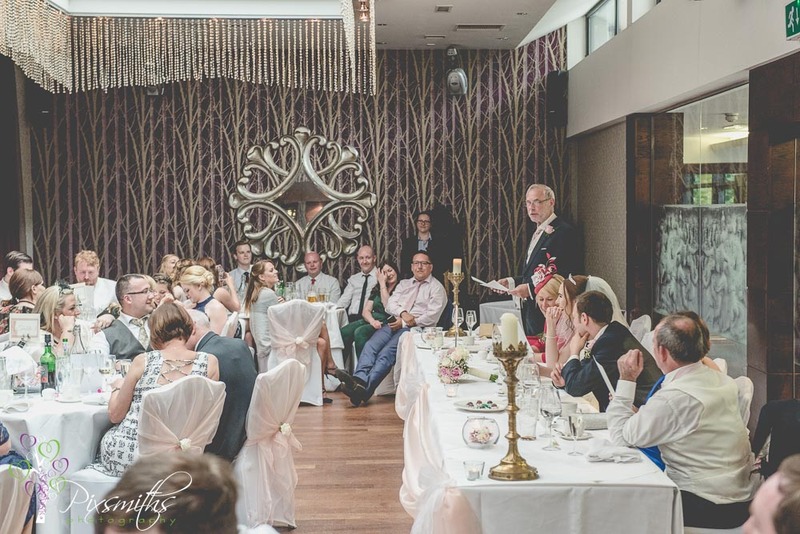 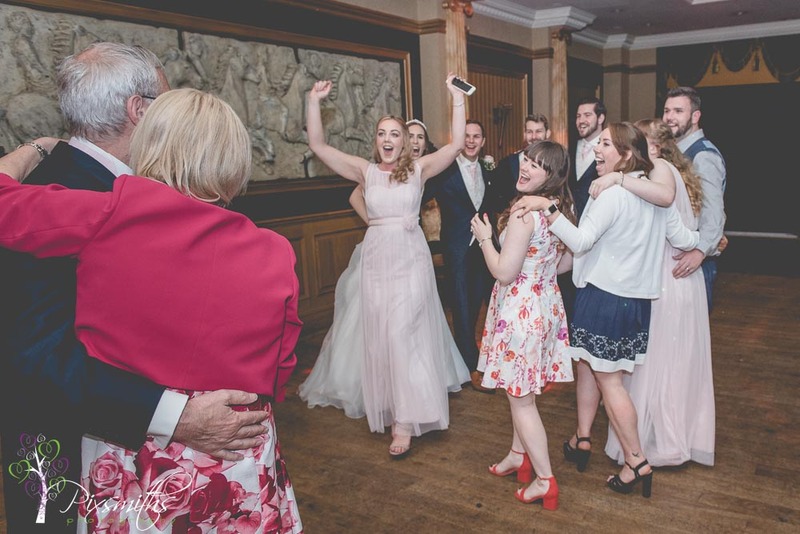 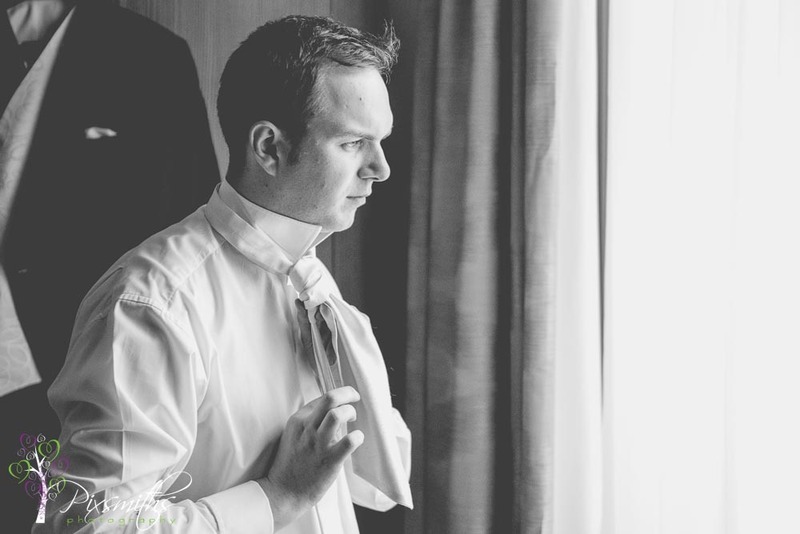 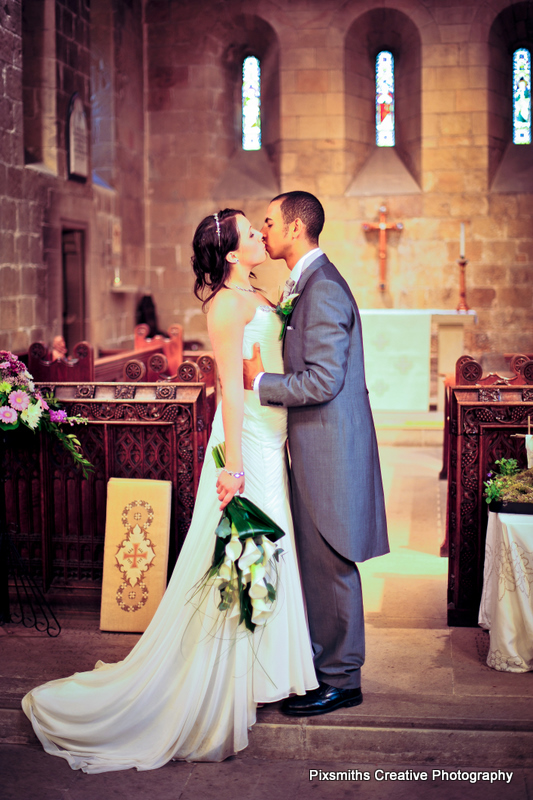 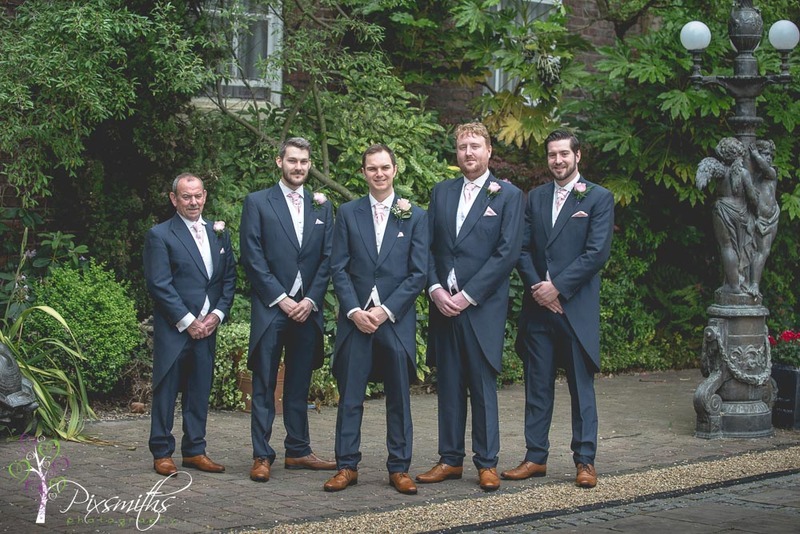 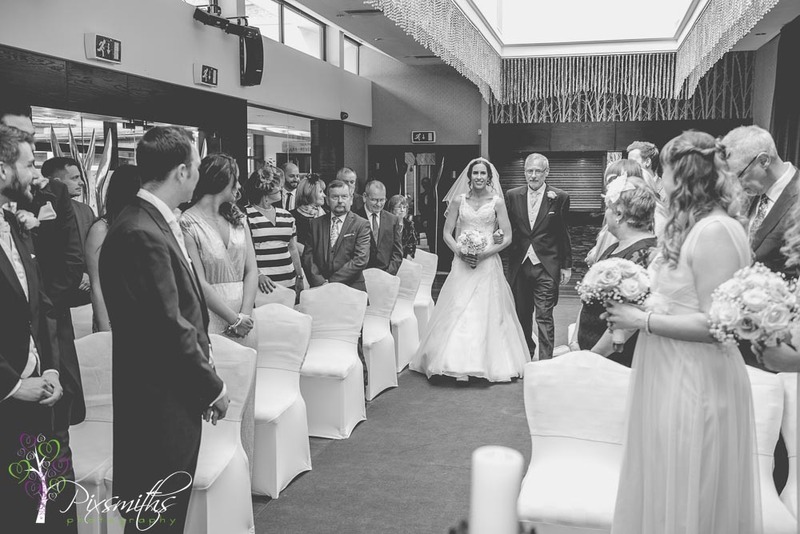 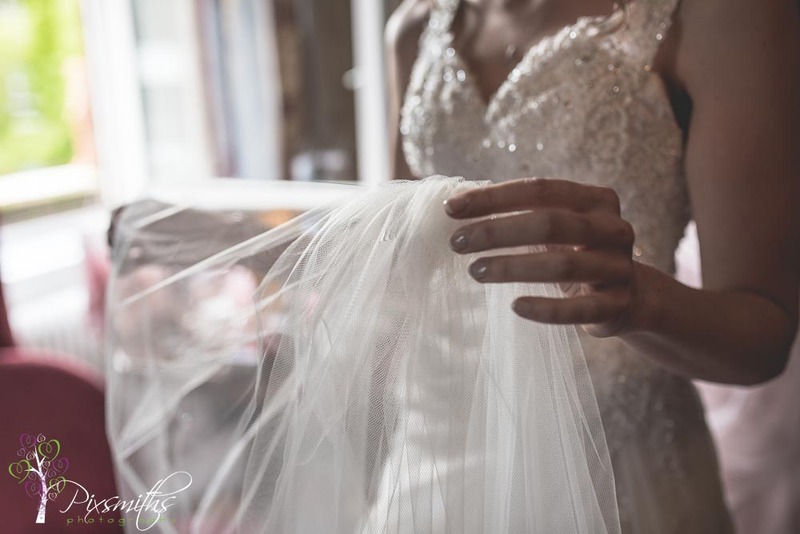 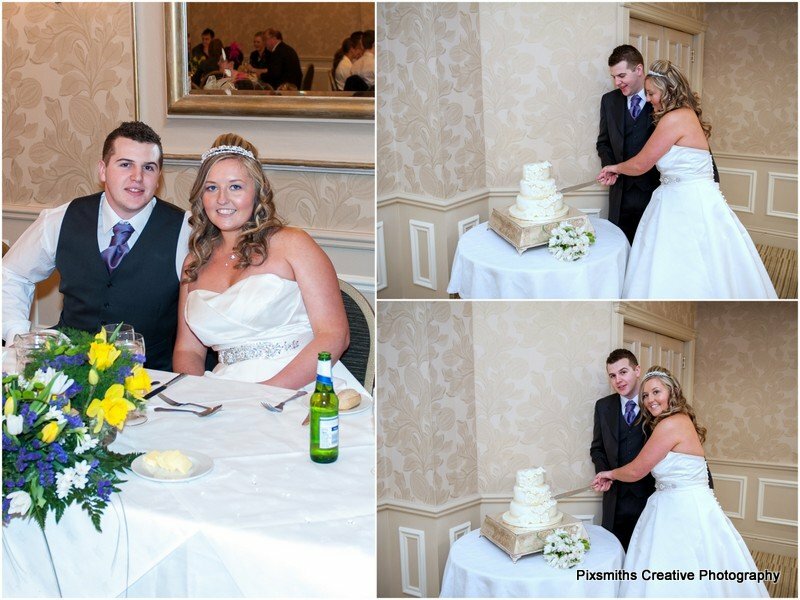 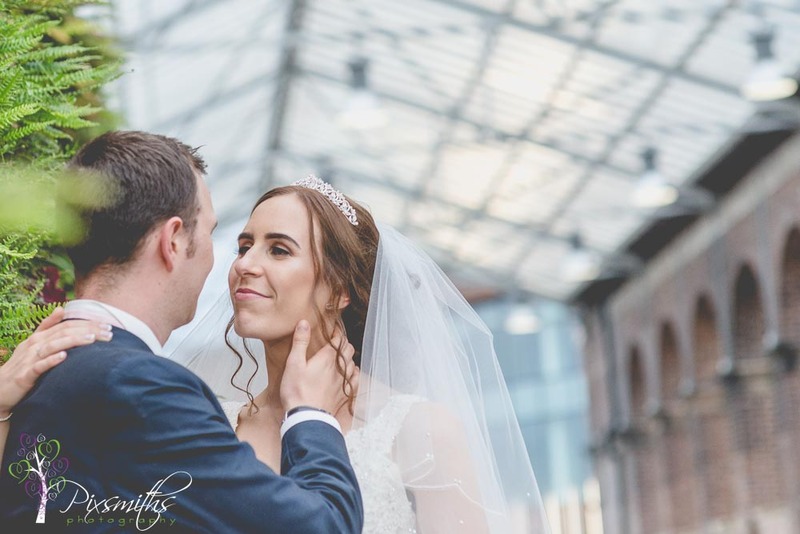 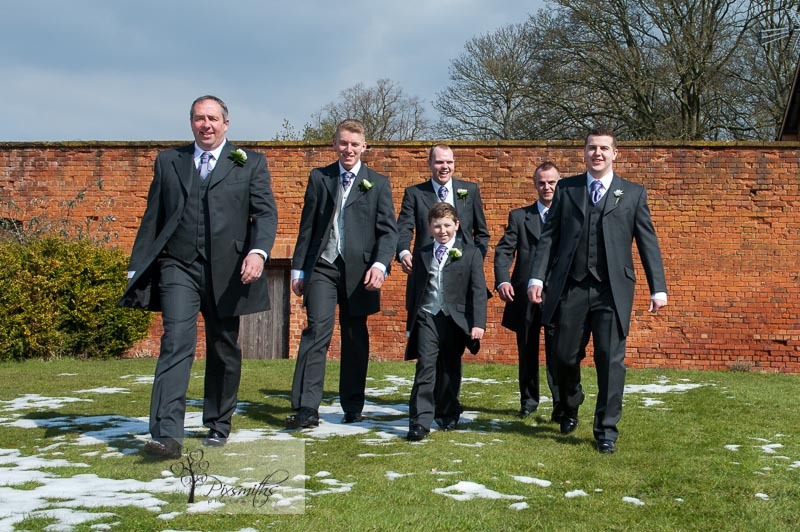 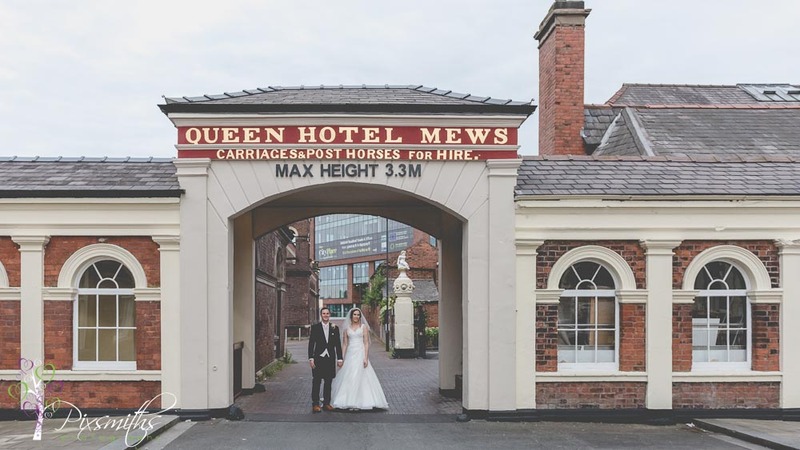 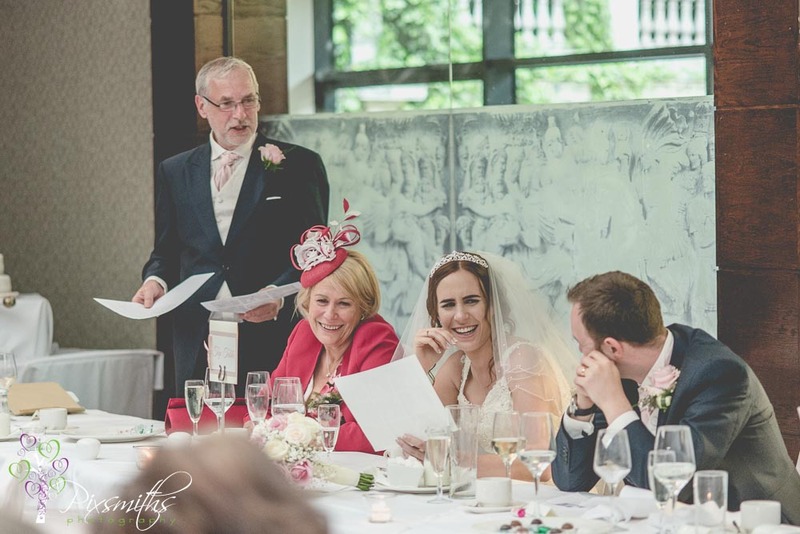 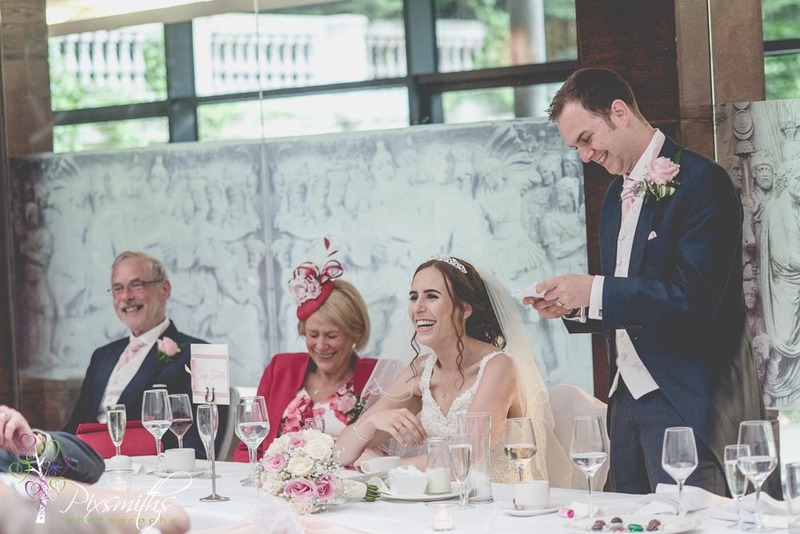 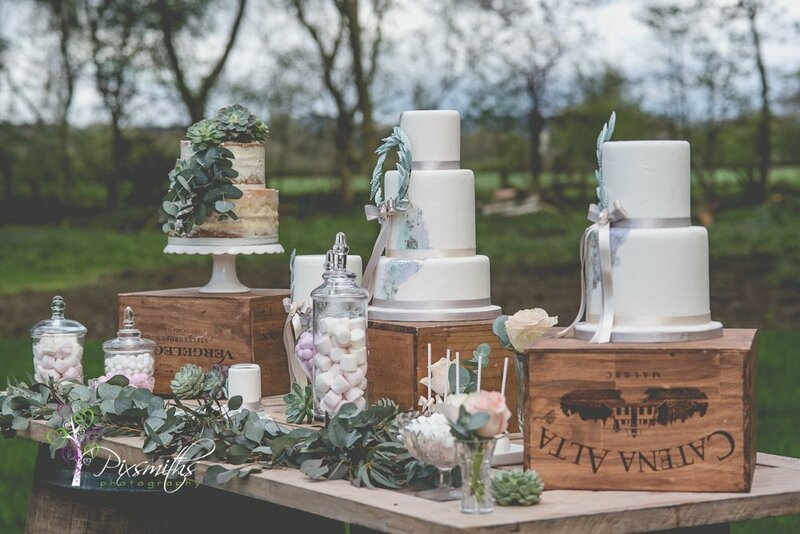 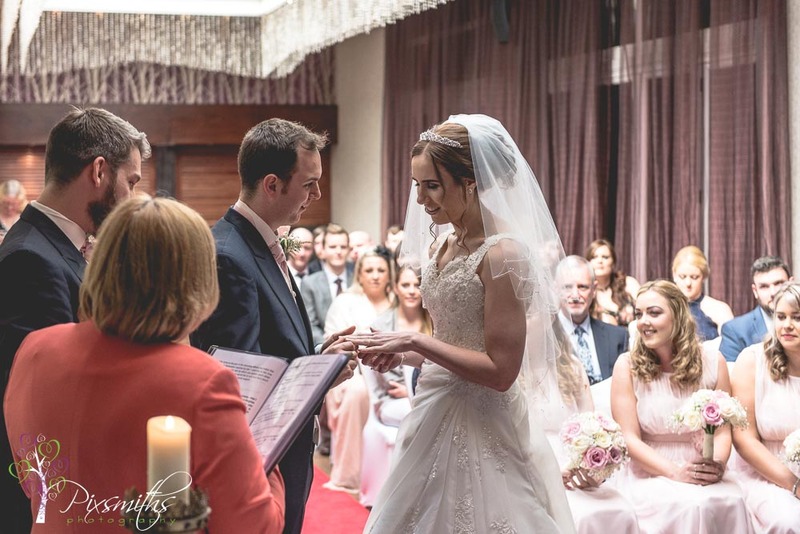 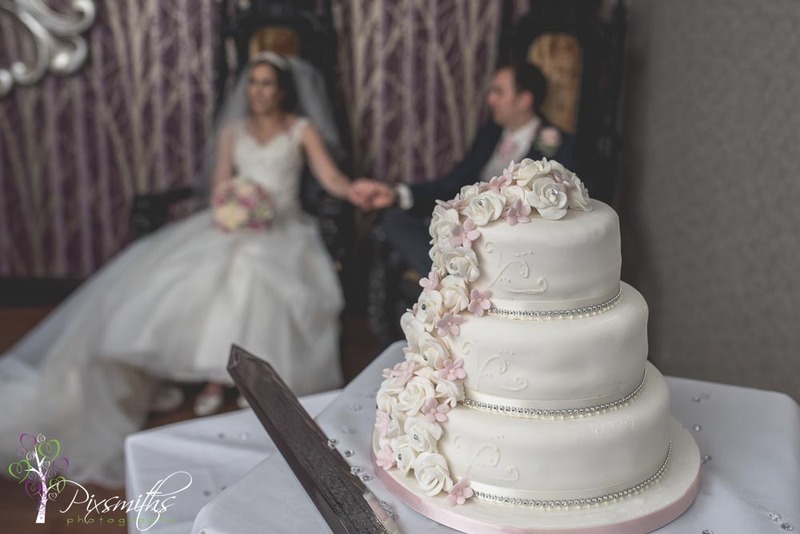 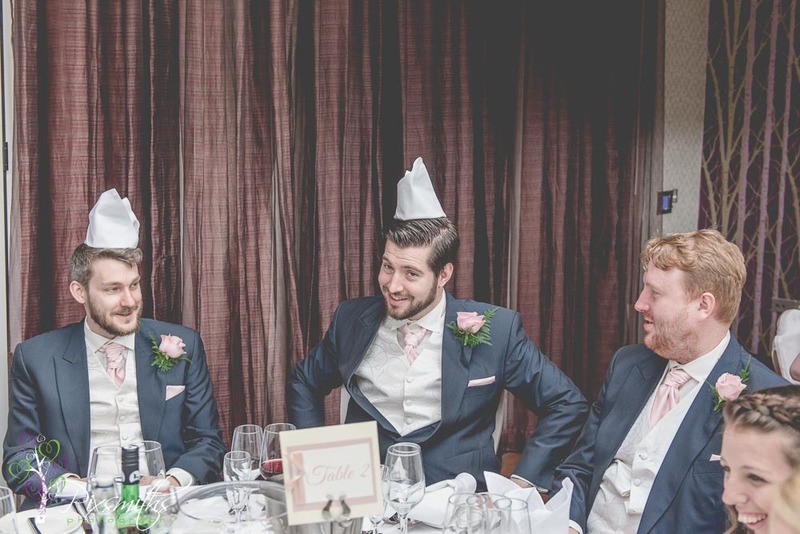 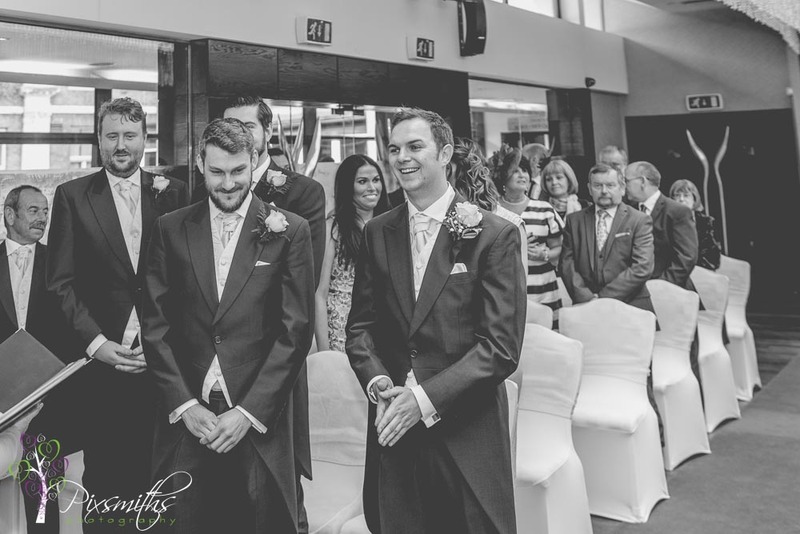 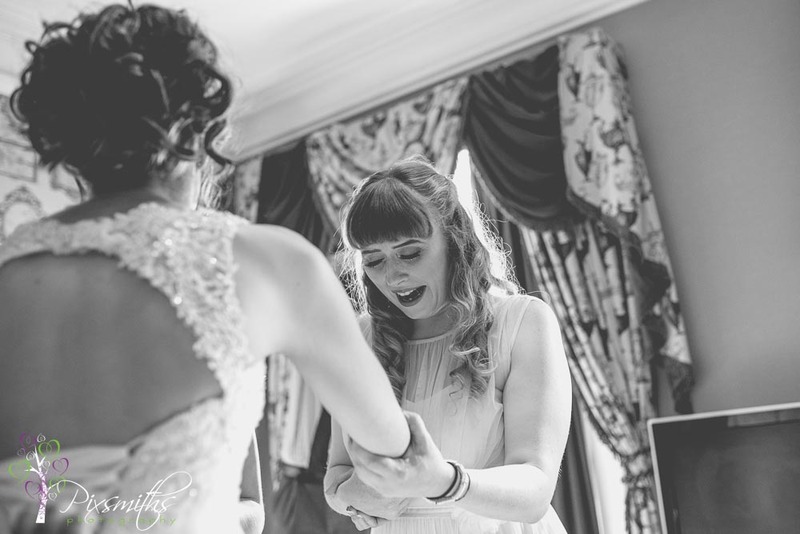 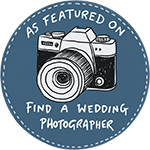 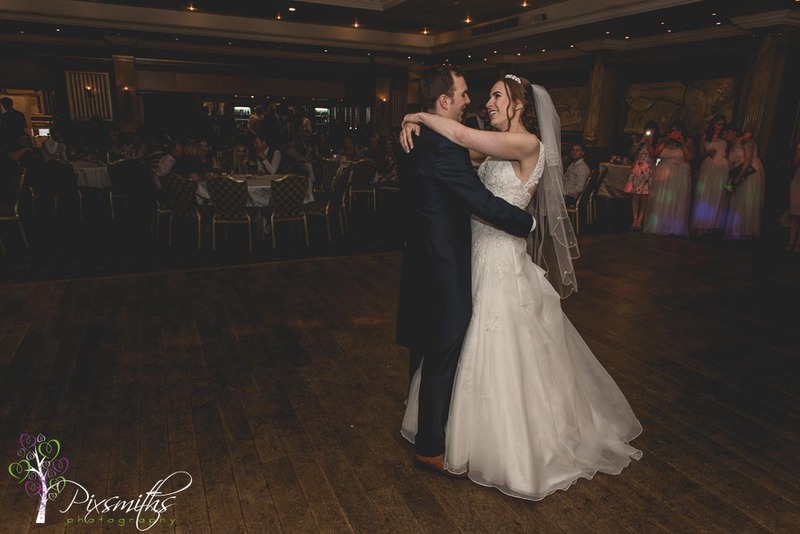 This wedding is a lovely example of a short wedding covering just before ceremony to mock cutting of cake – a bespoke 3-4 hour package that Wirral wedding photographers Pixsmiths are happy to cover for your wedding.